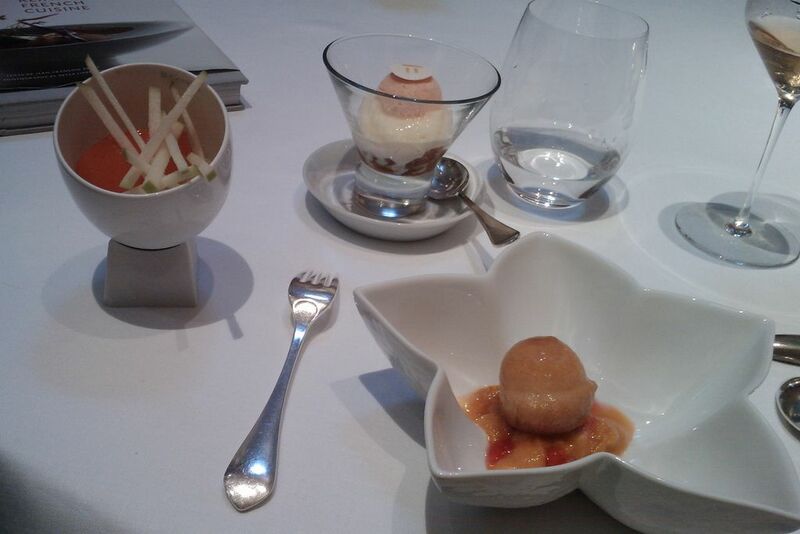 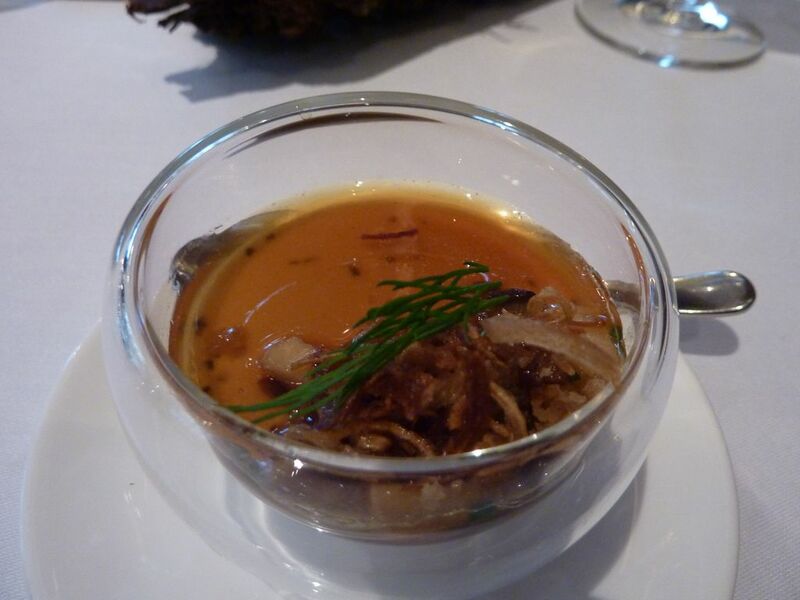 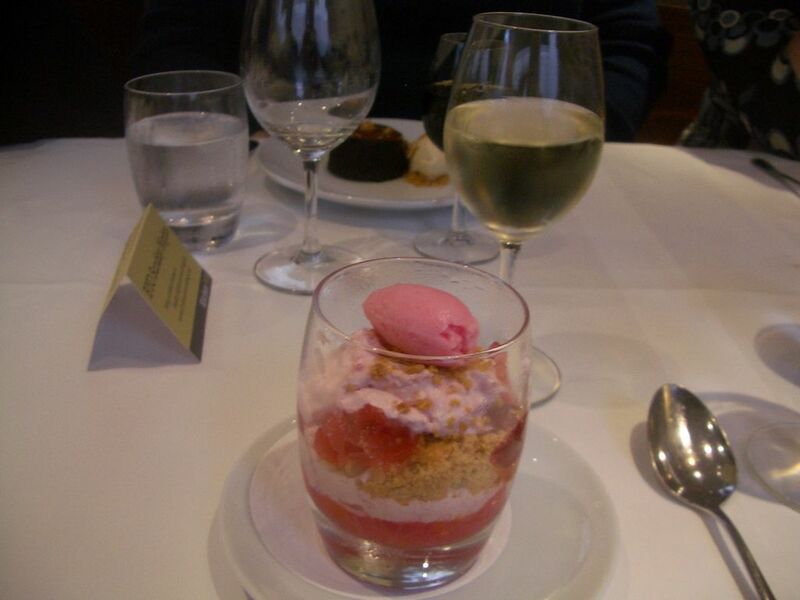 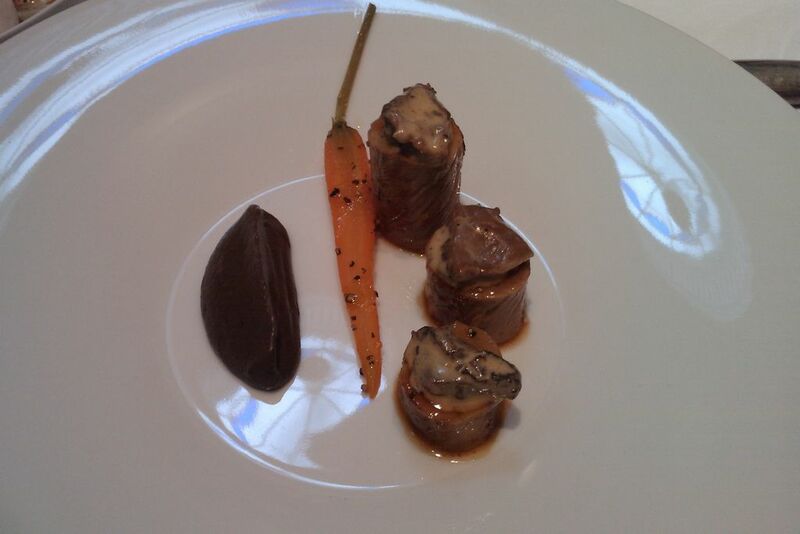 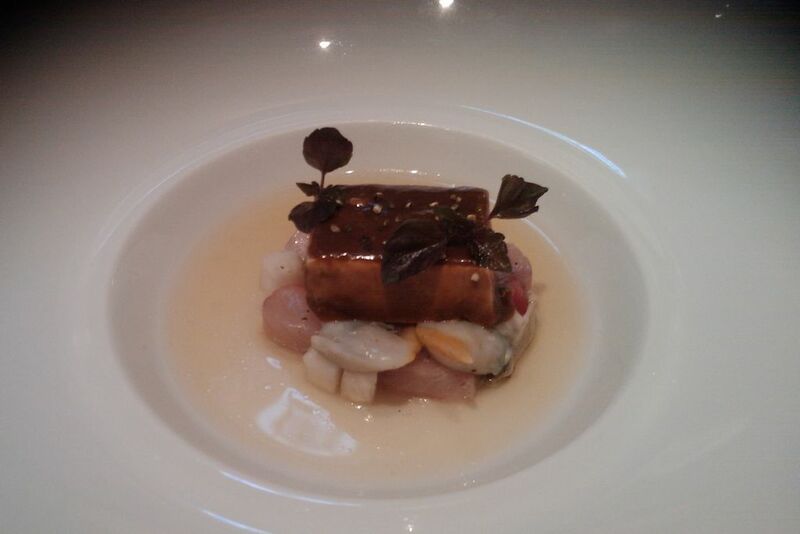 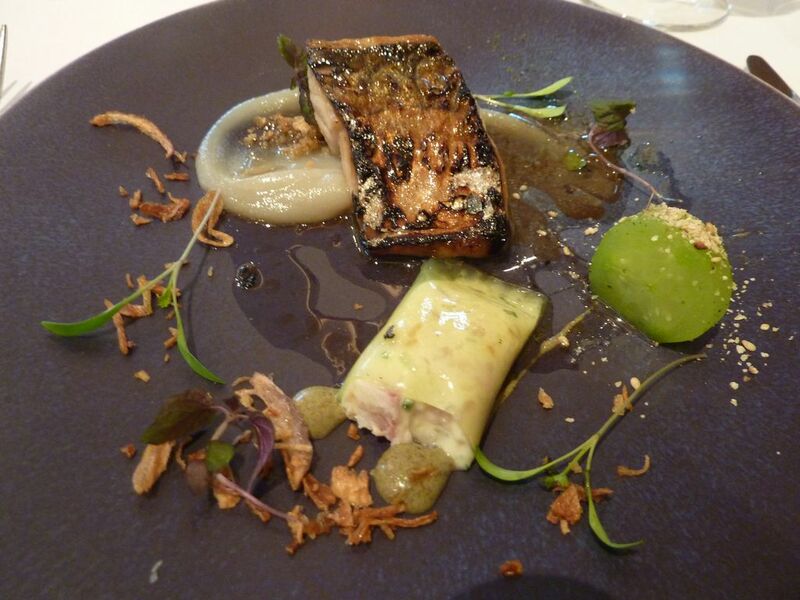 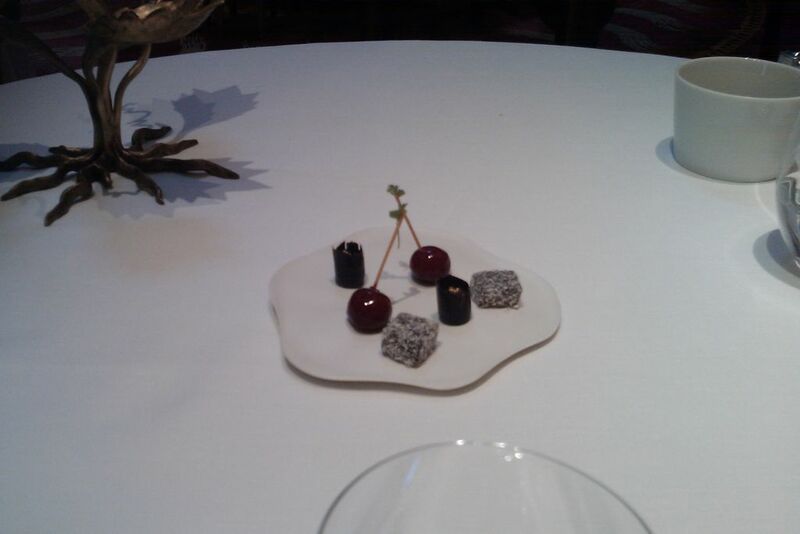 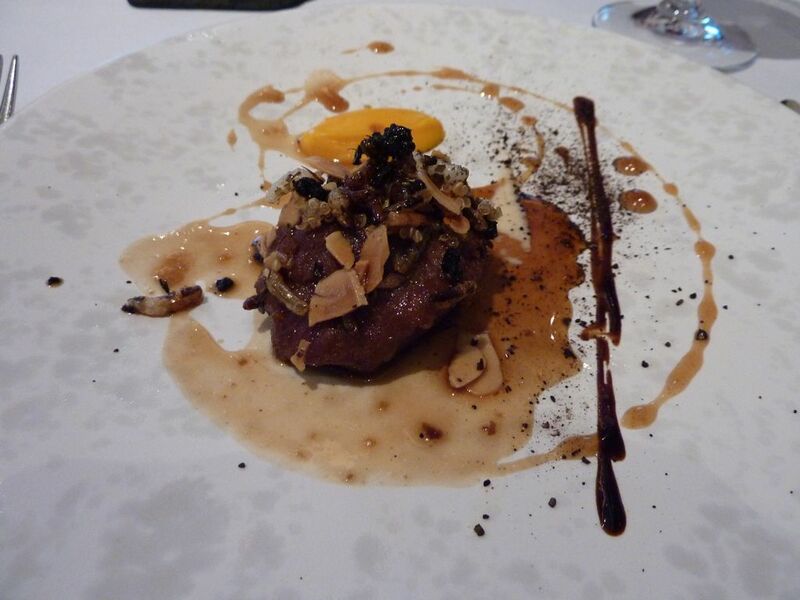 We started off the new year on a high, with lunch at The Ledbury. 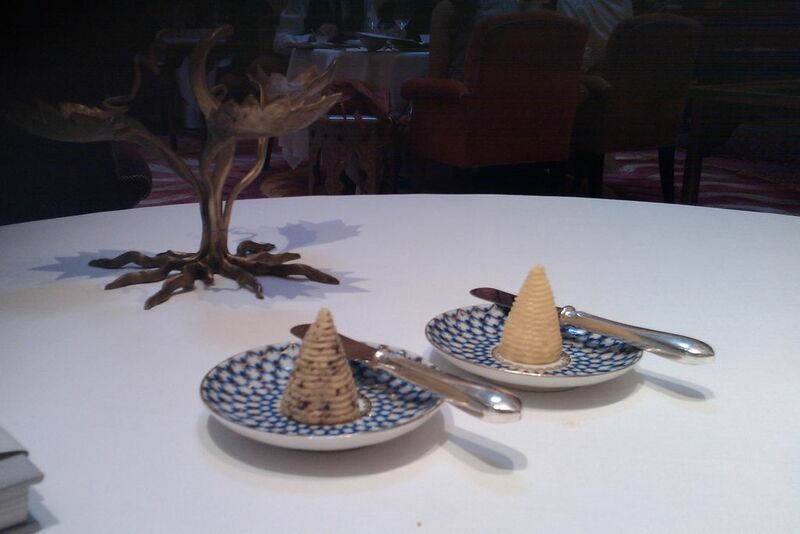 There were two menu options. 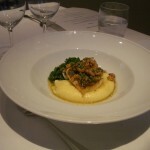 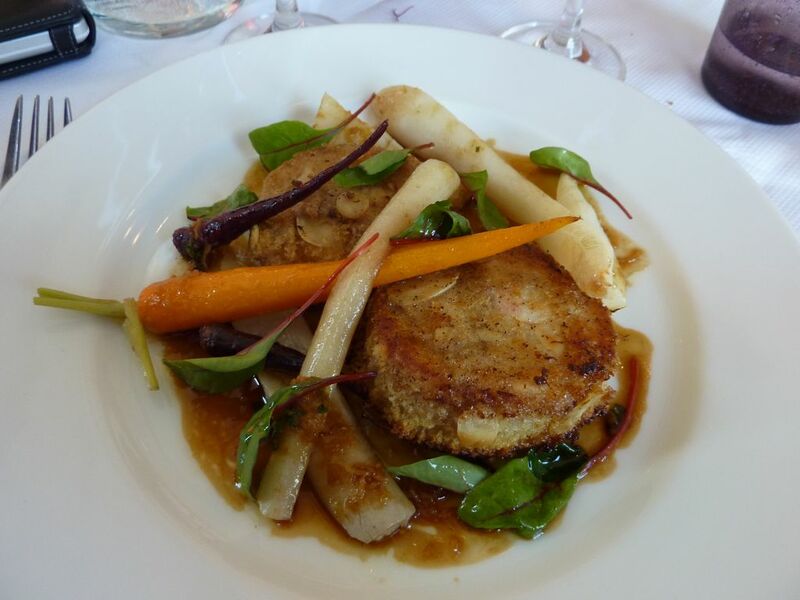 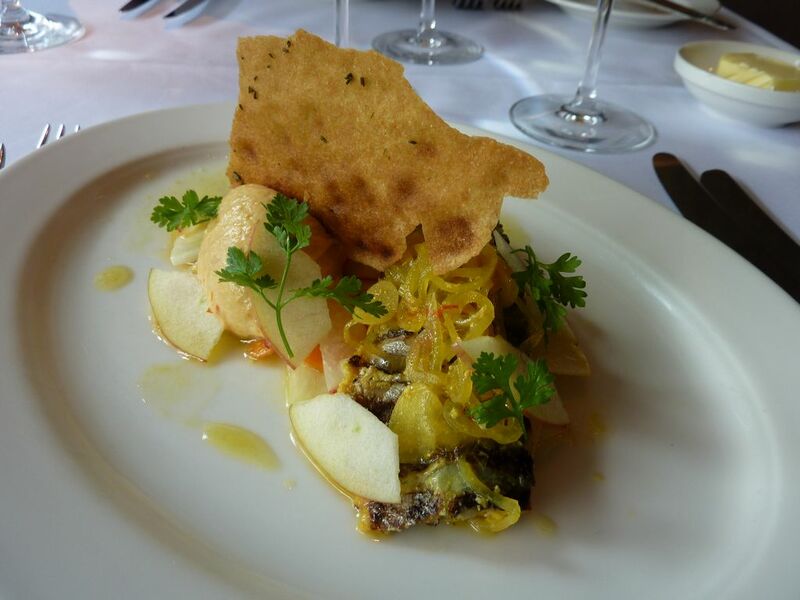 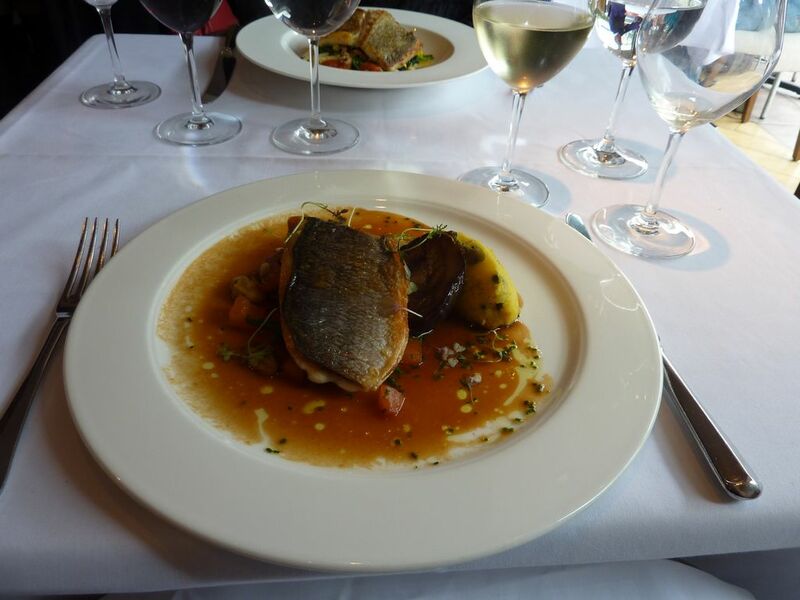 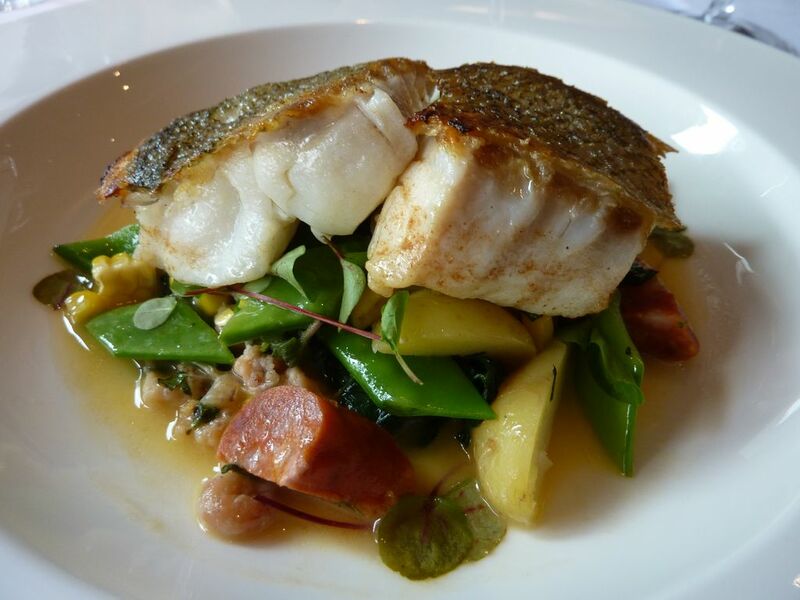 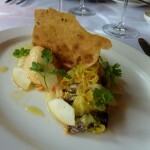 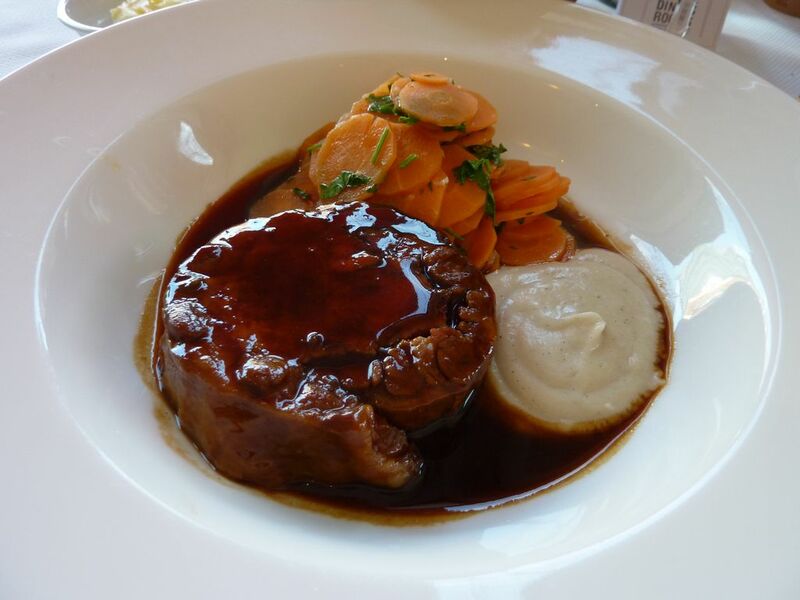 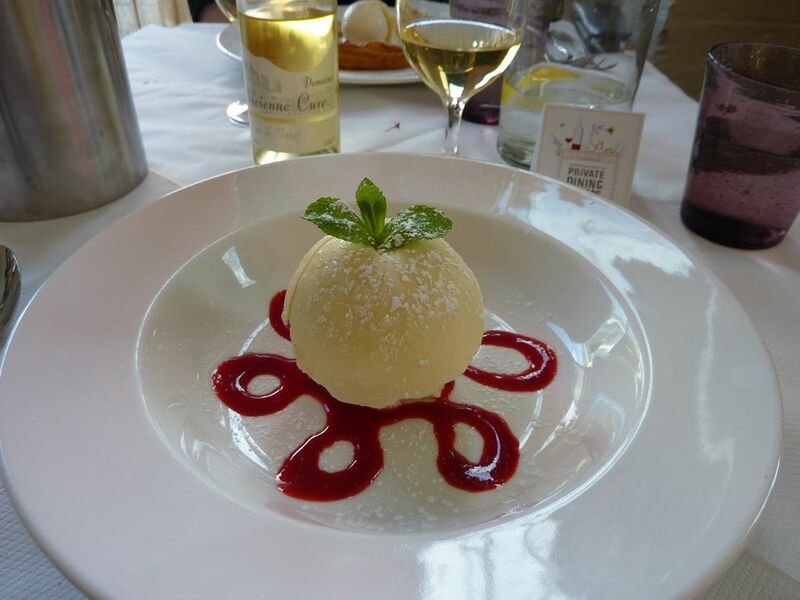 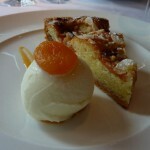 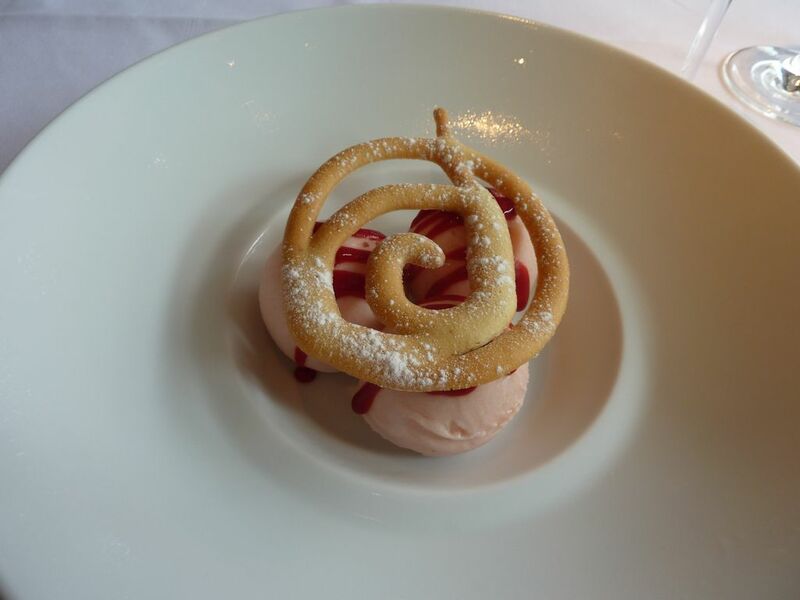 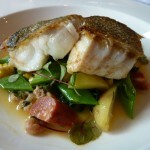 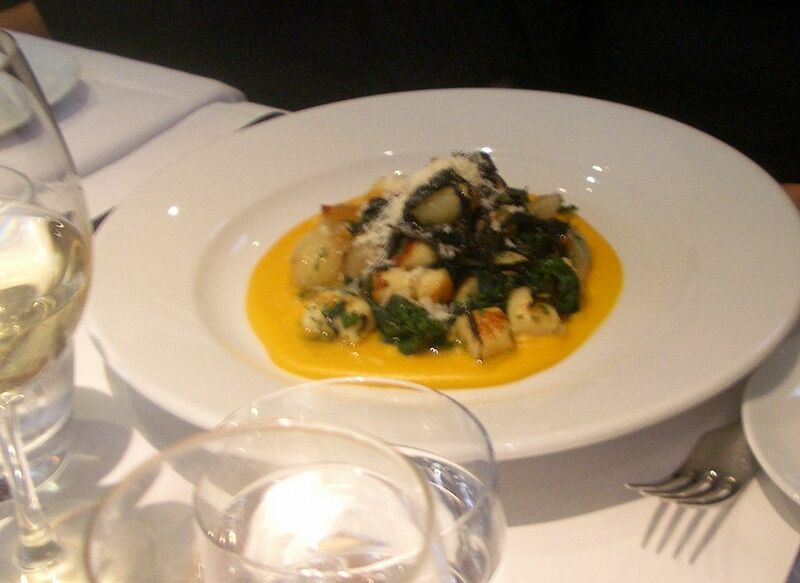 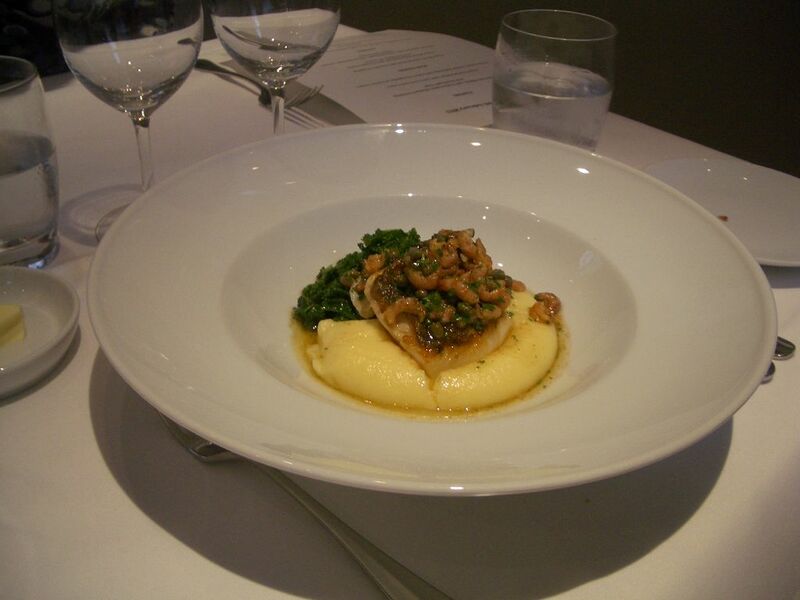 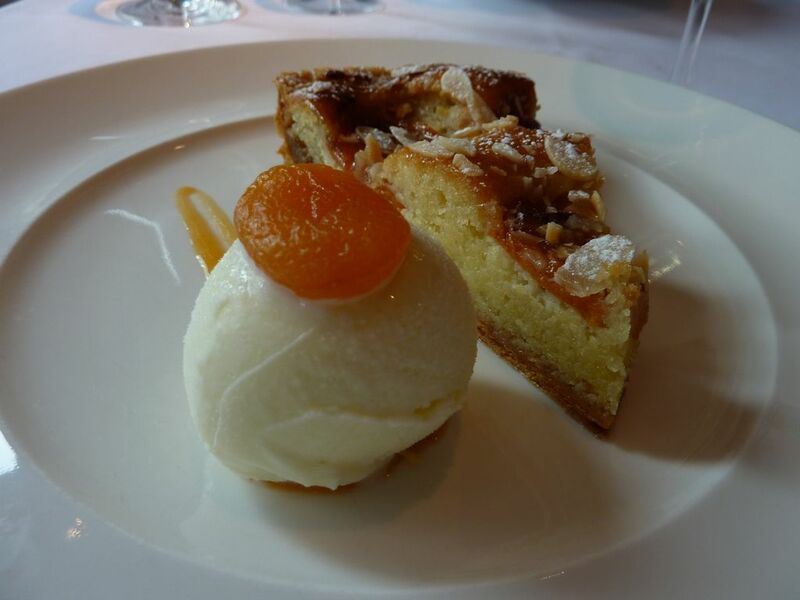 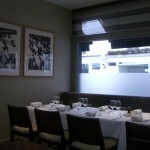 The special lunch Menu at £45 or the Tasting Menu at £75, both available with matching wine. 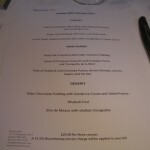 Such a tough choice, but it was The Ledbury and we just had to go down the “More” route. 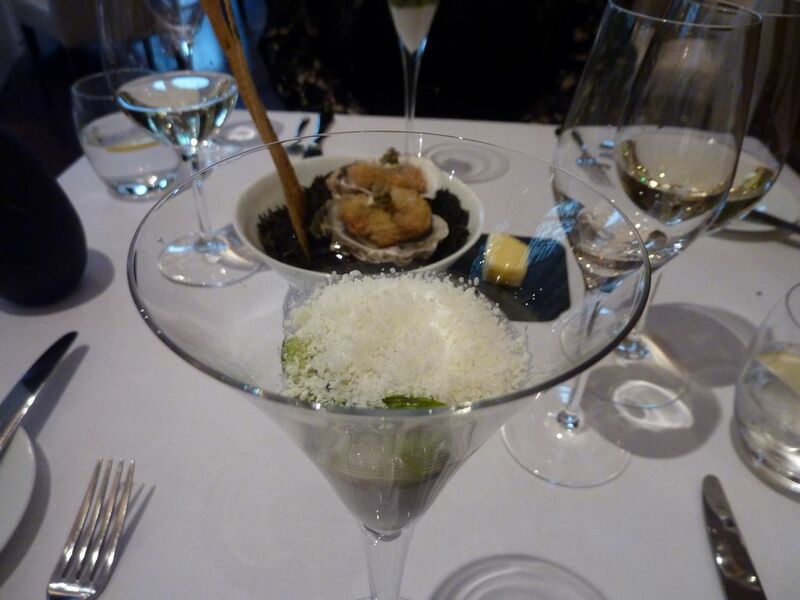 We had matching wines for each course (including a matching wine for the amuse bouche) making a total of 8 glasses each (I think). 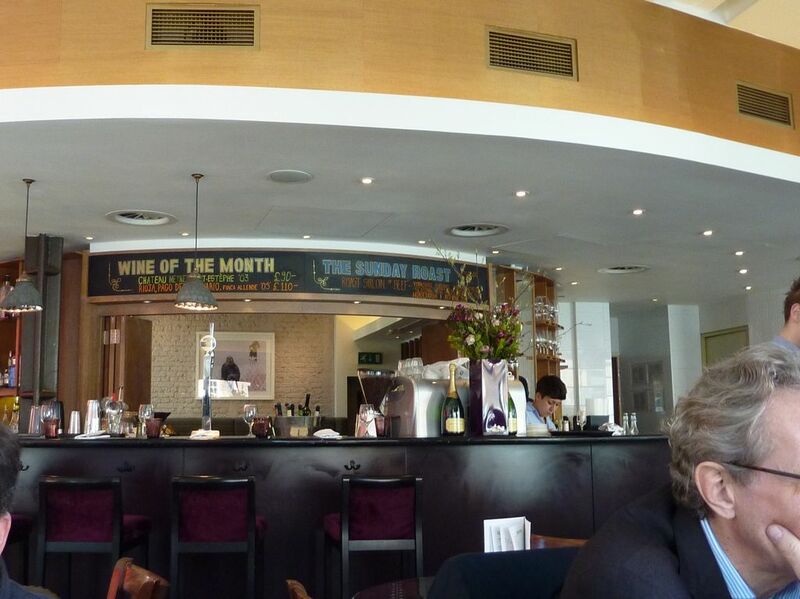 Pretty heavy for lunch time drinking I have to say. 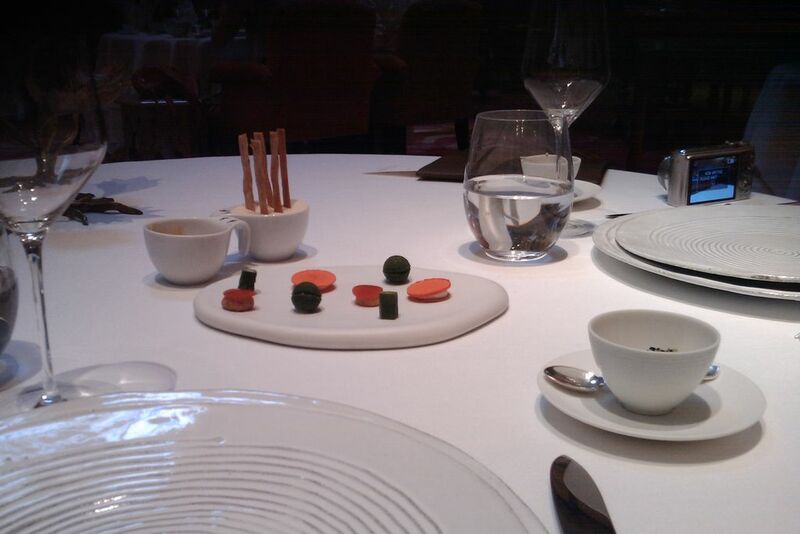 In retrospect the “Less” route might have been the more sensible choice. 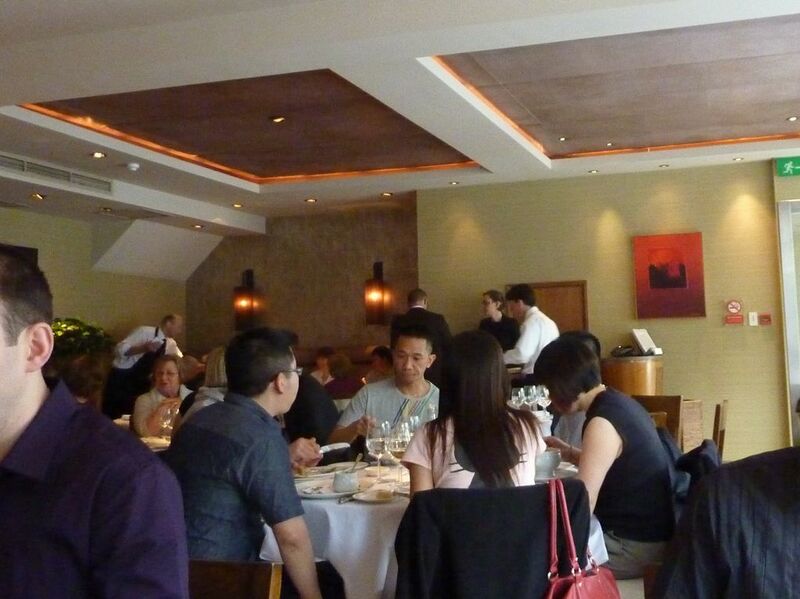 We found the restaurant to be rather quiet on this visit, only a few tables were in use during our mid week lunch. 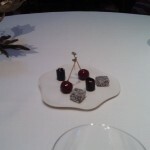 So if you pick your day carefully it is possible to get a reservation at this temple of gastronomy. 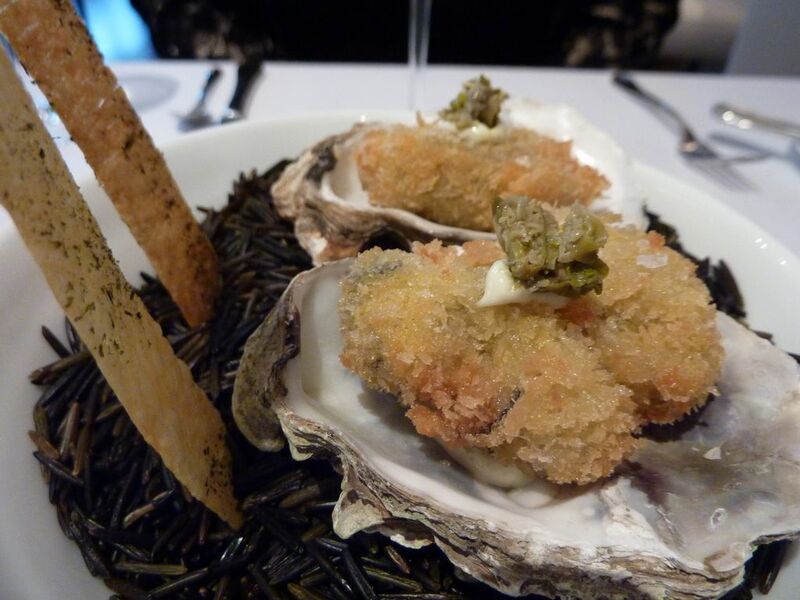 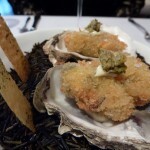 We started with Chantilly of Colchester Oysters with a Tartare of Scallop and Oyster, Horseradish and Dill – a very elegant dish, this was followed by Flame Grilled Mackerel with Smoked Eel, Celtic Mustard and Shiso. 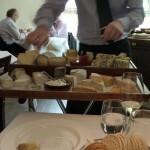 Then we had Hampshire Buffalo Milk Curd with Saint-Nectaire and Truffle Toast. 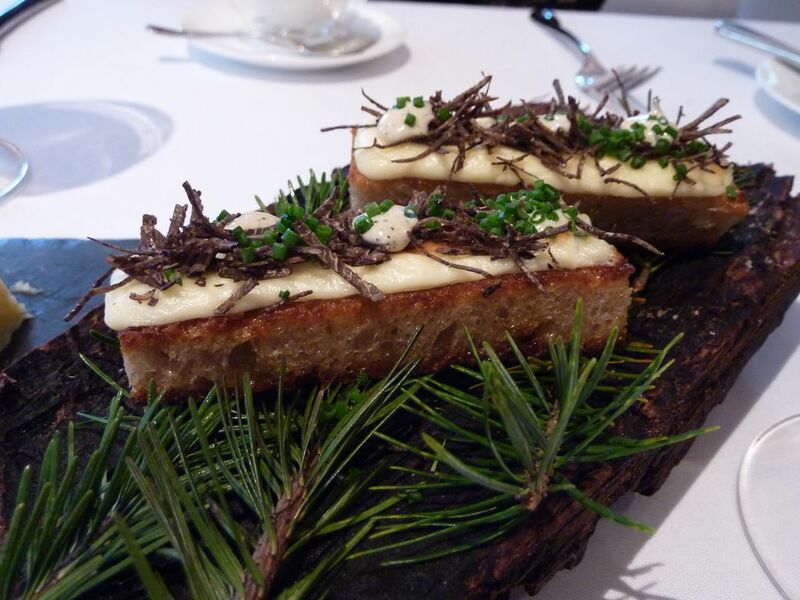 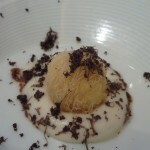 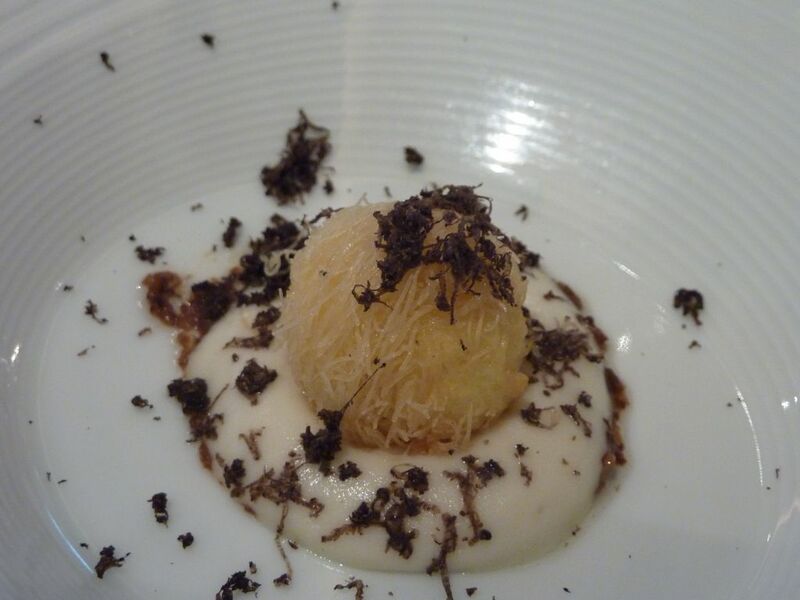 The Truffle Toast was the highlight for me, delicious. 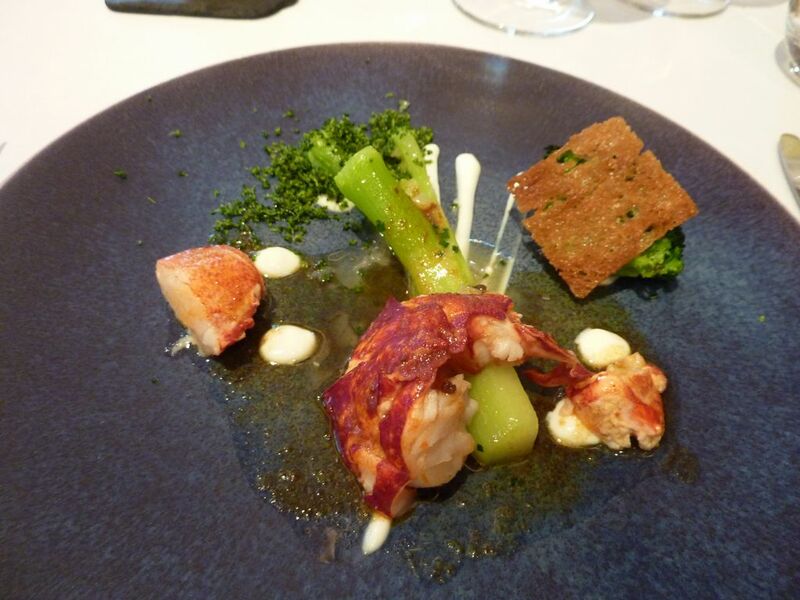 We were four glasses down at this point when we moved on to the fish course of Roast Native Lobster with Broccoli stem, Natural Yogurt and Indian Spices in Brown Butter. 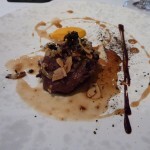 This was followed by Pork Cheek cooked in Pedro Ximénez with Puffed Grains and Spiced Cream and Roast Haunch of Fallow Deer with White Beetroot and Smoked Bone Marrow and several more glasses of well matched wines. 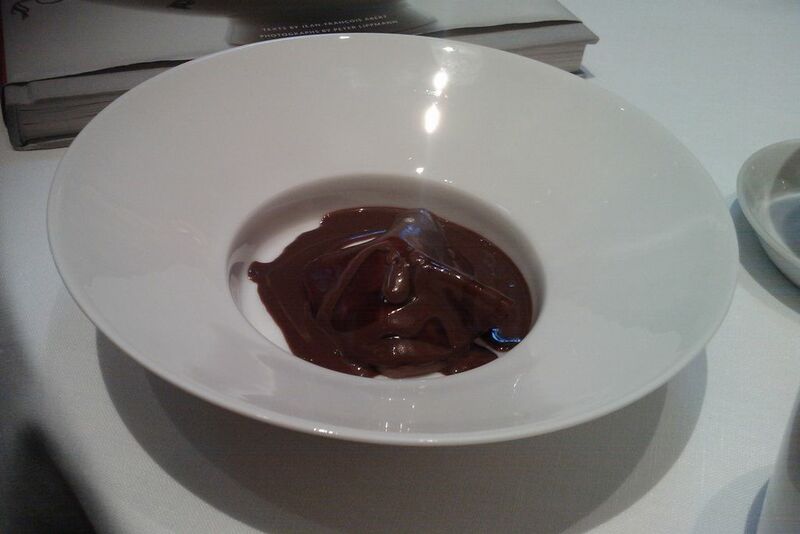 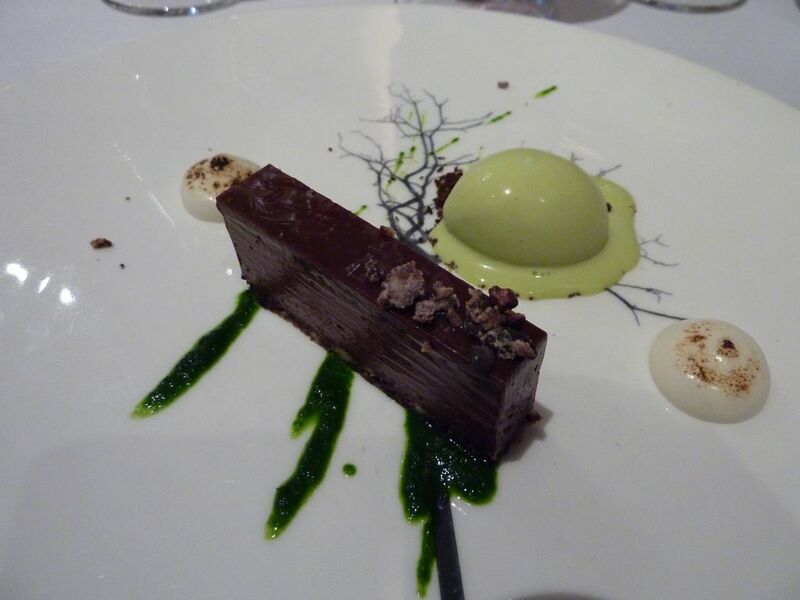 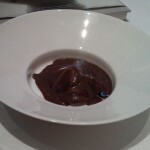 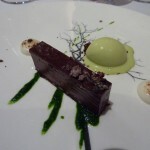 We finished with a light pre-dessert and the dessert of Pavé of Chocolate with Milk Purée and Lovage Ice Cream. 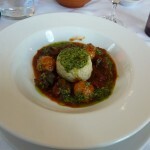 The food was universally good, we just felt that we had over done it. 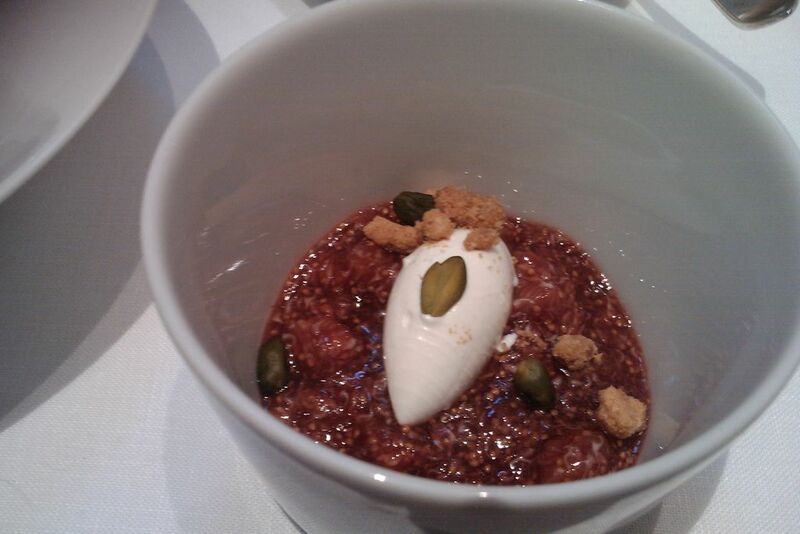 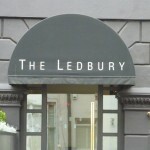 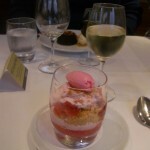 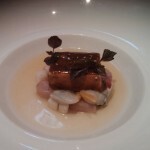 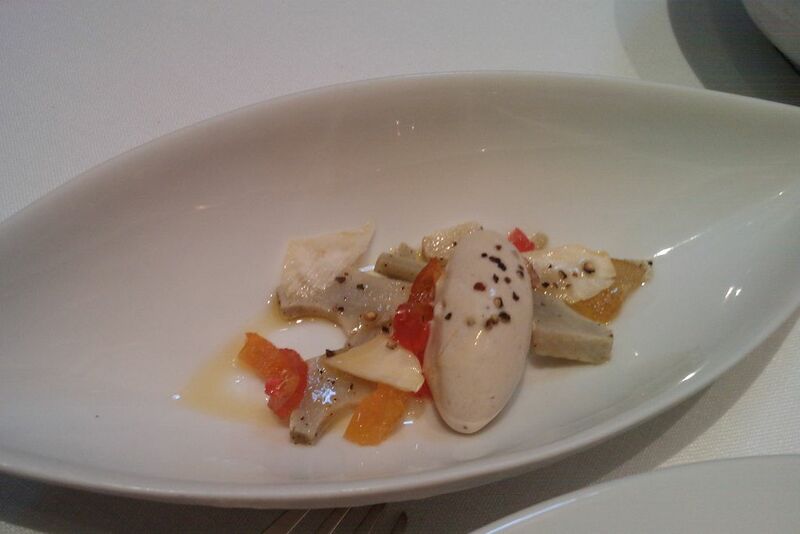 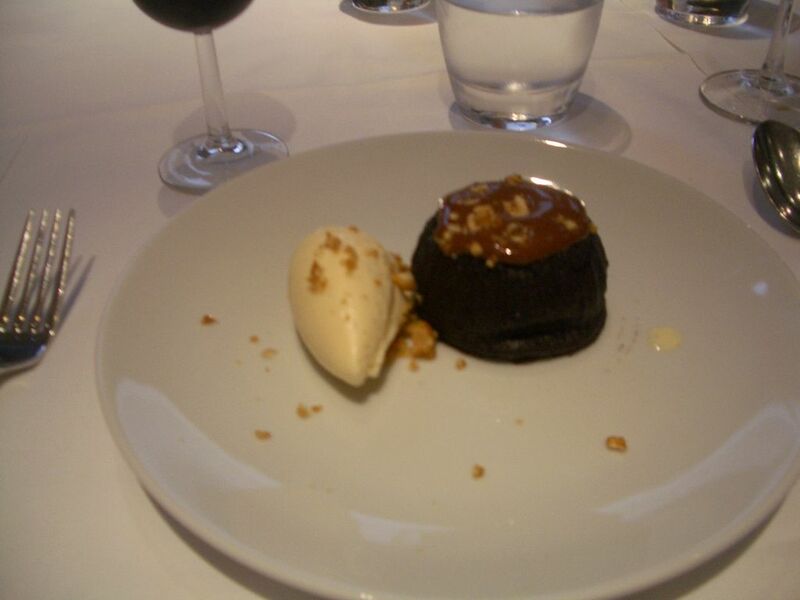 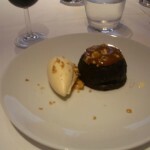 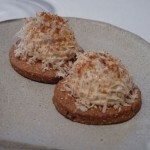 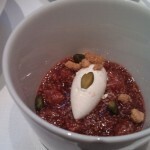 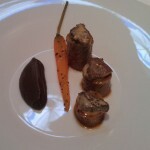 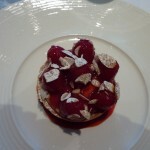 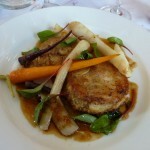 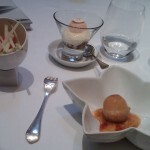 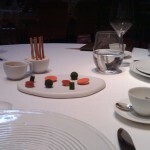 I am always happy to go to The Ledbury but I think next time I will stick to the set lunch. 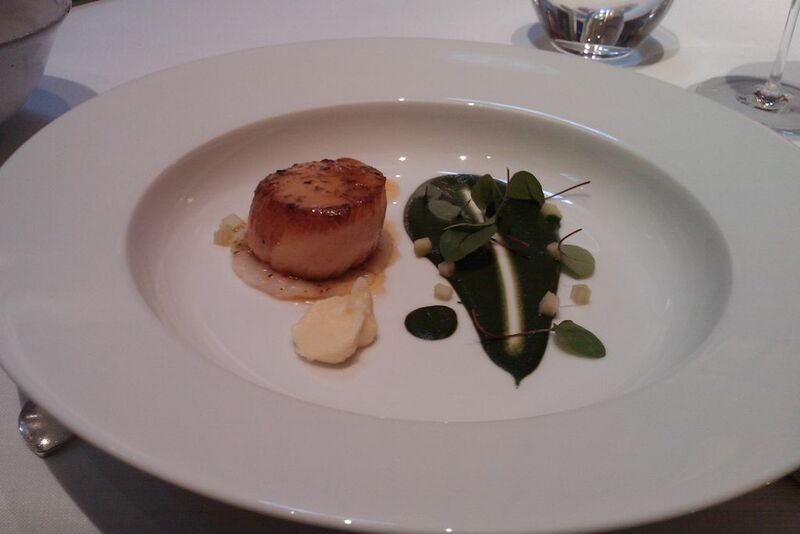 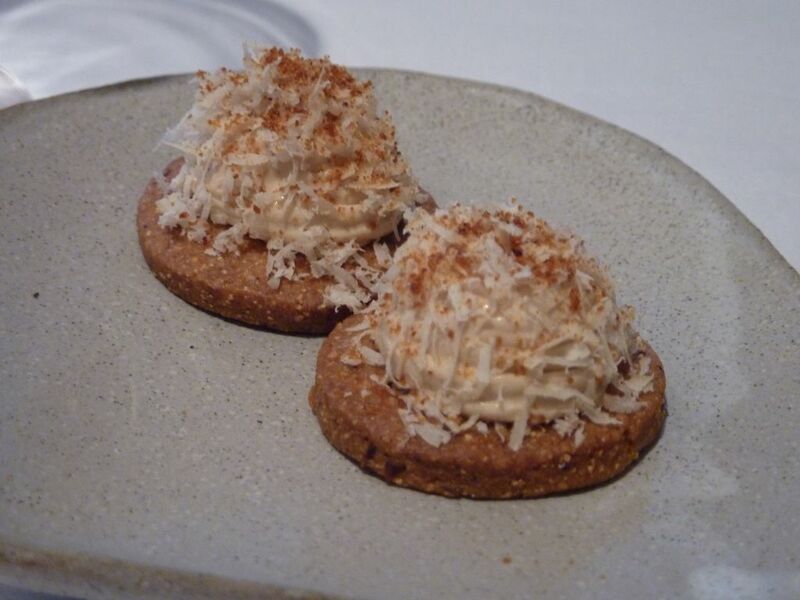 One tip though, if you do want to go down the Tasting Menu route, is to do it at lunch time – the Tasting Menu is £30 cheaper then than the one offered in the evening. 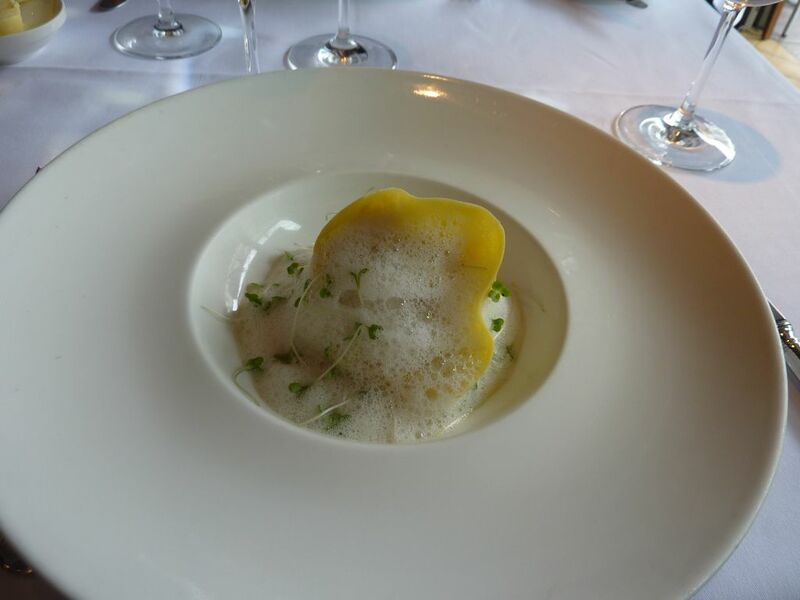 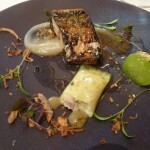 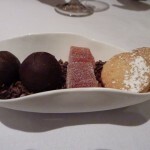 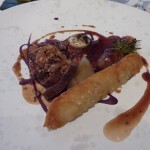 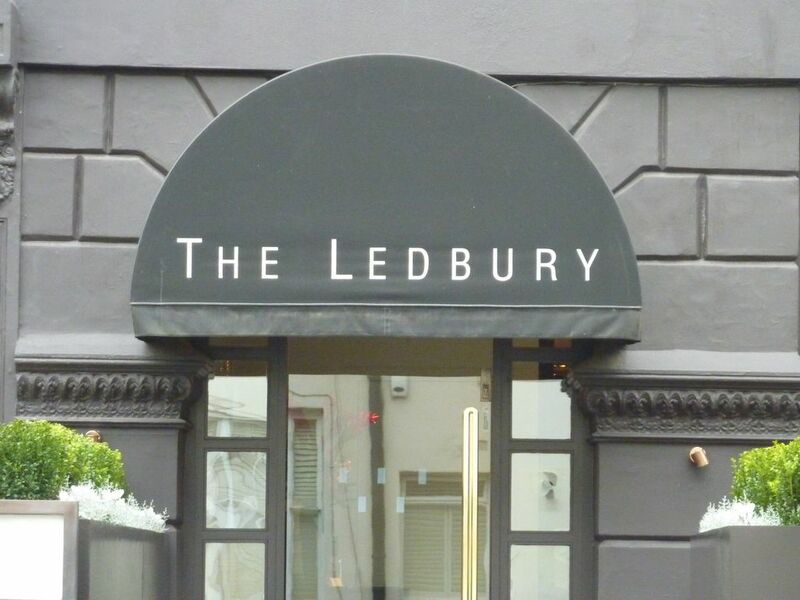 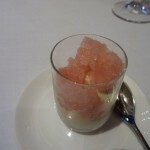 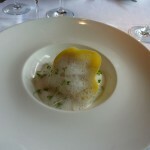 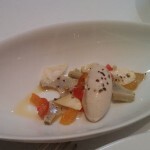 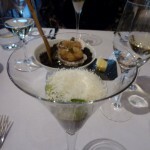 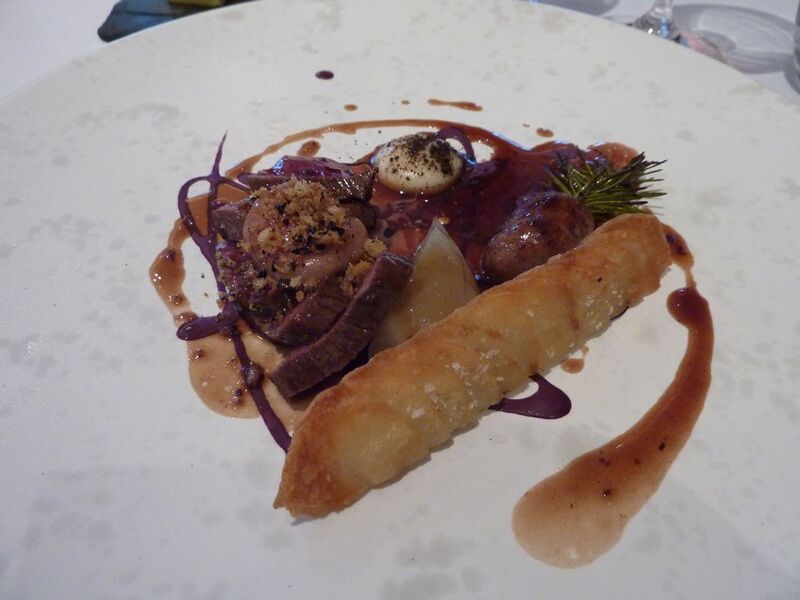 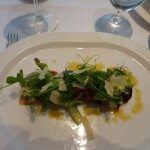 Author No ExpertPosted on January 4, 2013 July 25, 2018 Categories 2 Michelin stars, Expensive, London, UKTags The LedburyLeave a comment on The Ledbury – More or Less? 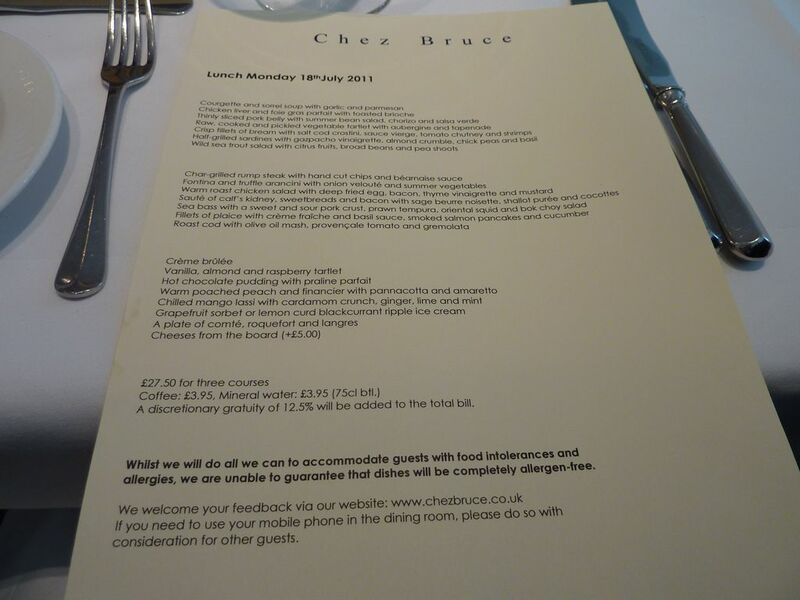 I made our reservation at Chez Bruce at fairly short notice, so our table was probably one of the worst ones in the room. 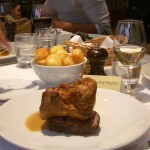 However I was just glad to have a table as even at Monday lunch time Chez Bruce was close to full. 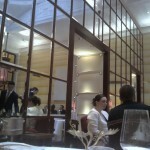 Yet again they did not put a foot wrong on the service front or with the food. 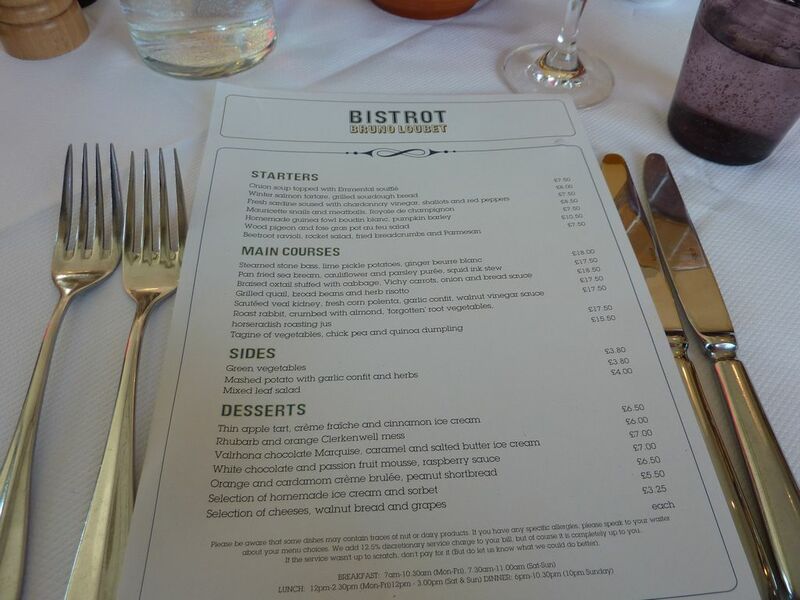 All through the meal we could hear ourselves continually making “mmm” noises, which says it all. 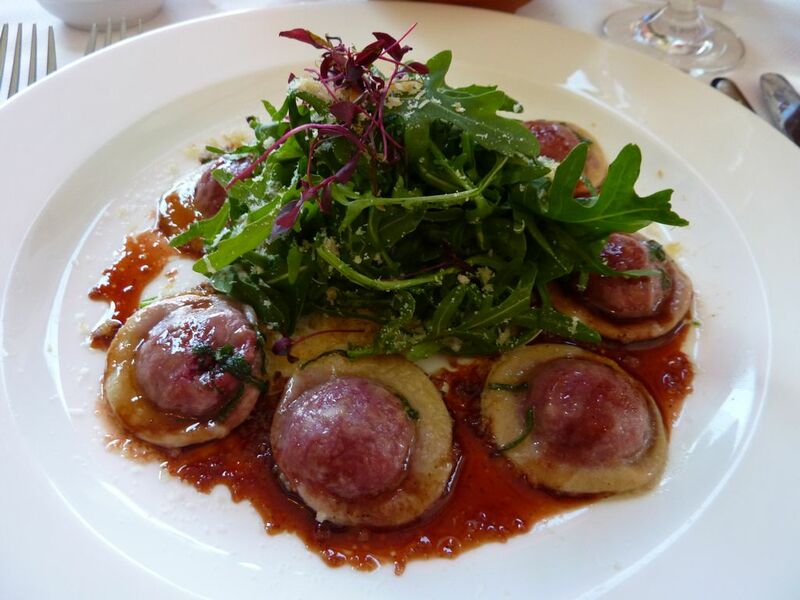 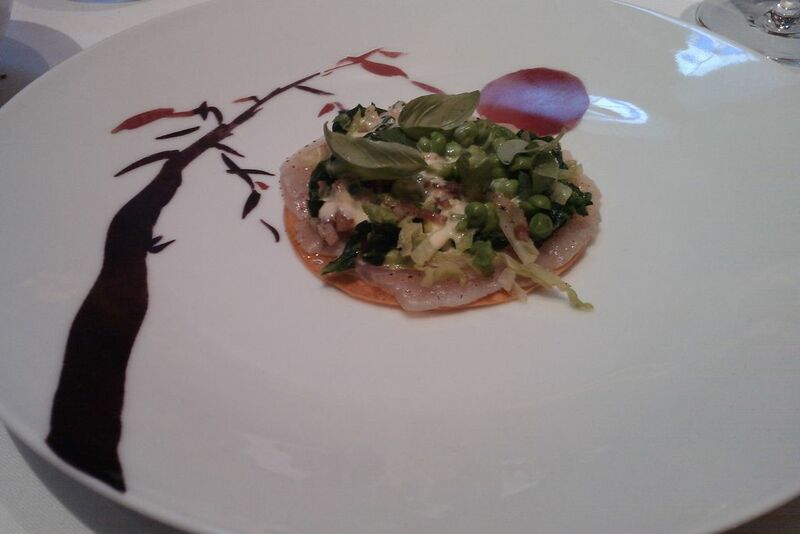 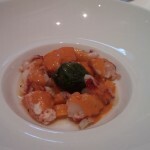 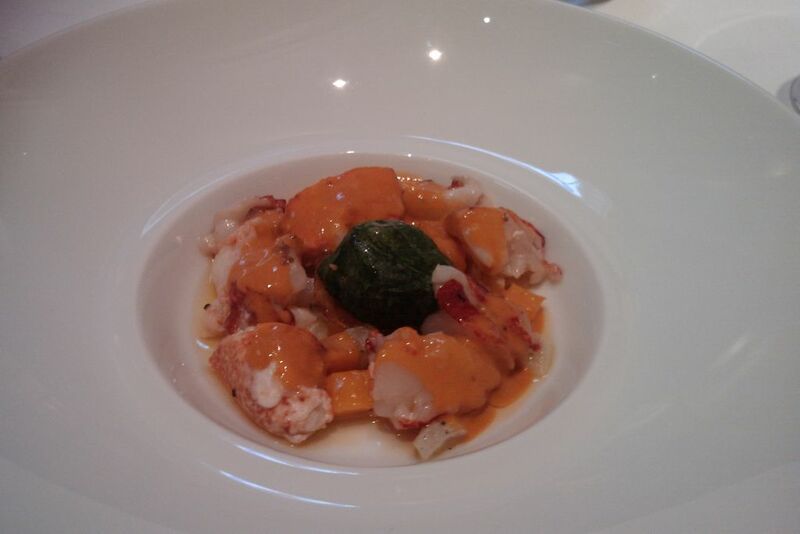 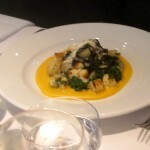 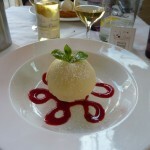 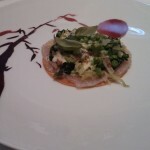 The food is seriously good, well balanced complex dishes that look beautiful and taste wonderful. 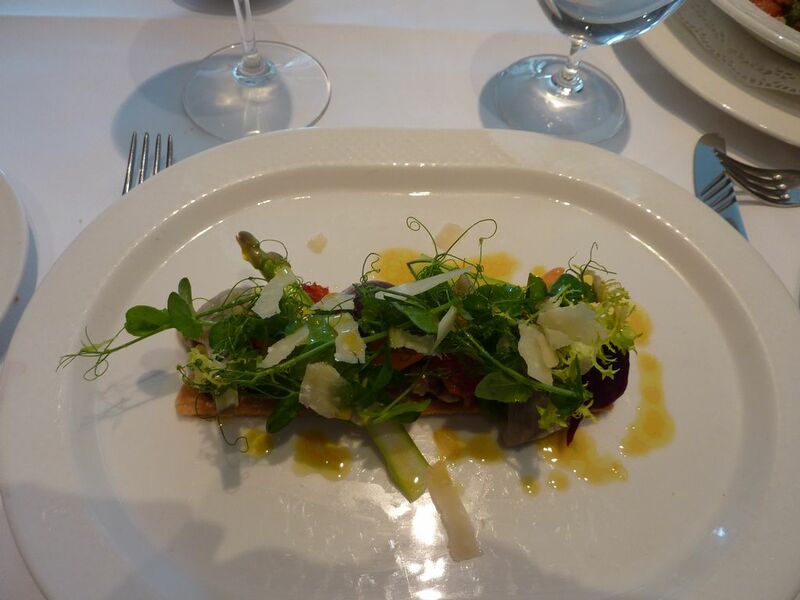 My raw, cooked and pickled vegetable tartlet with aubergine and tapenade, was amazing – it was so light and the mixture of textures and flavours worked so well. 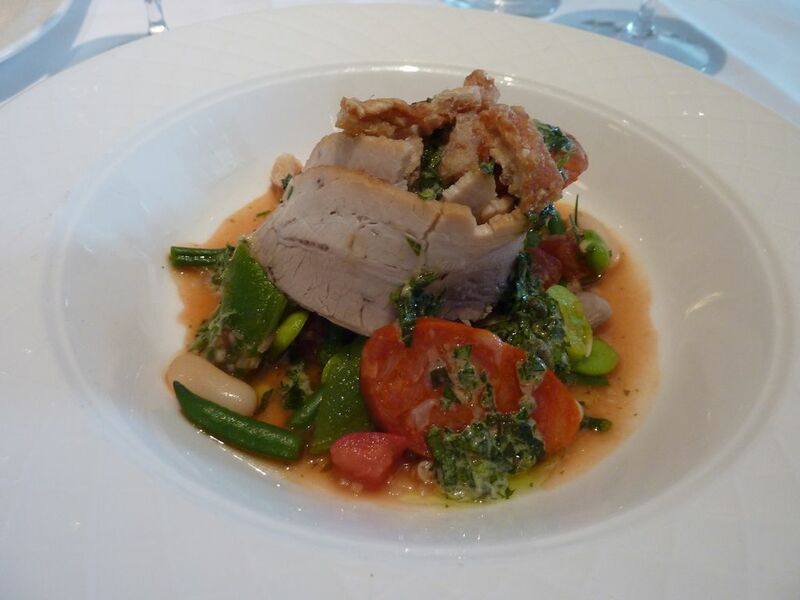 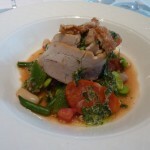 My companion also really enjoyed his Pork Belly with Summer Bean Salad, Chorizo and Salsa Verde. 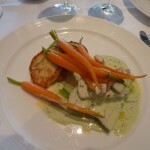 For main course I had the Plaice with creme fraiche and basil sauce, smoked salmon, pancakes and cucumber – the pancakes especially were really moreish. 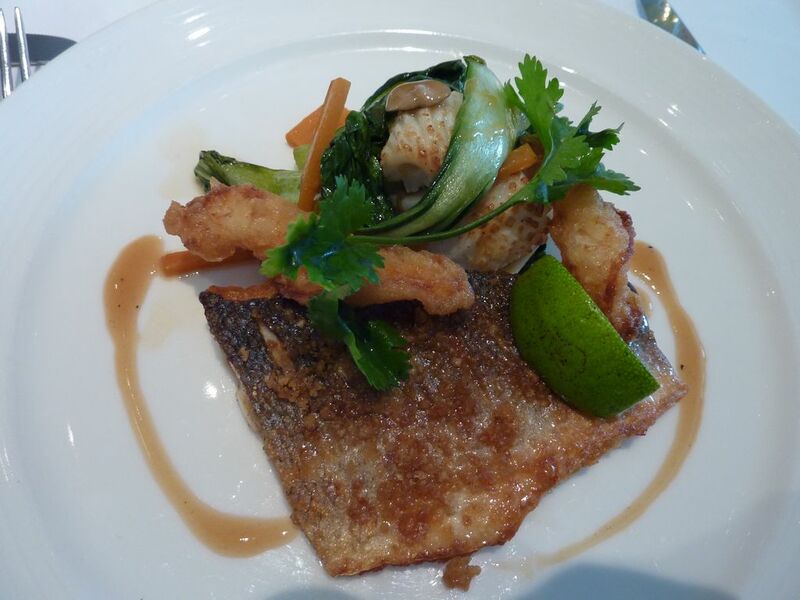 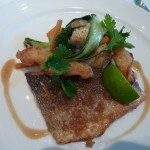 My companion had the Seabass with prawn tempura, oriental squid and bok choy salad and was really impressed by the flavour of the fish and its distinctive sweet and sour pork crust. 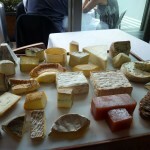 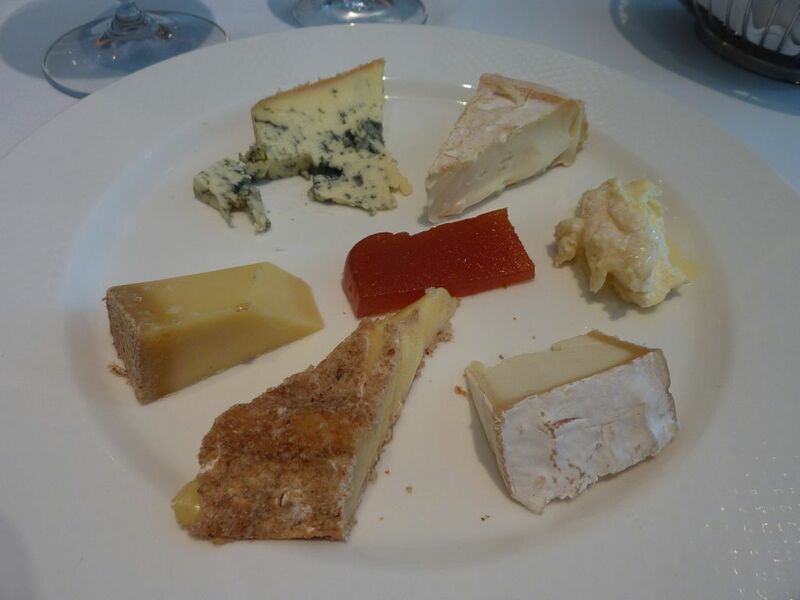 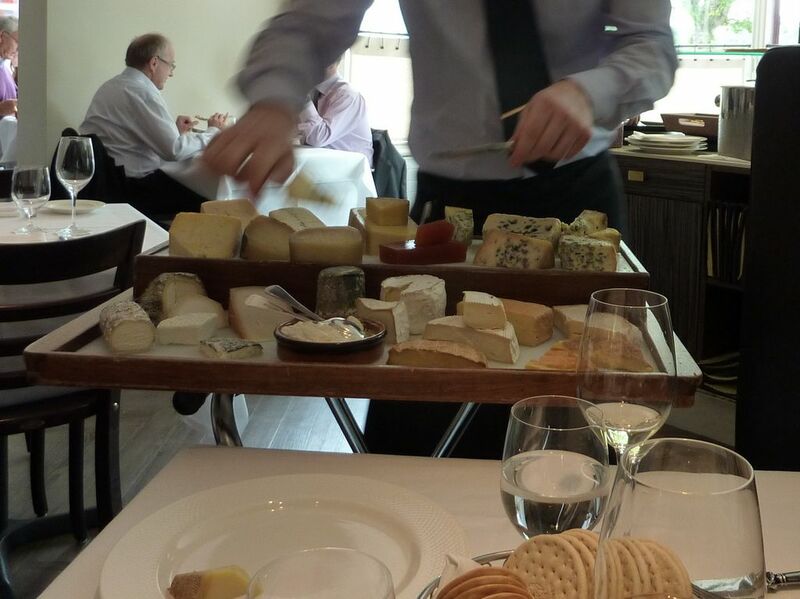 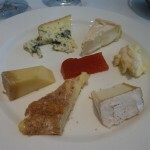 We then moved on to share a cheese plate – the cheese boards in the Nigel Platts-Martins stable of restaurants are too good to miss. 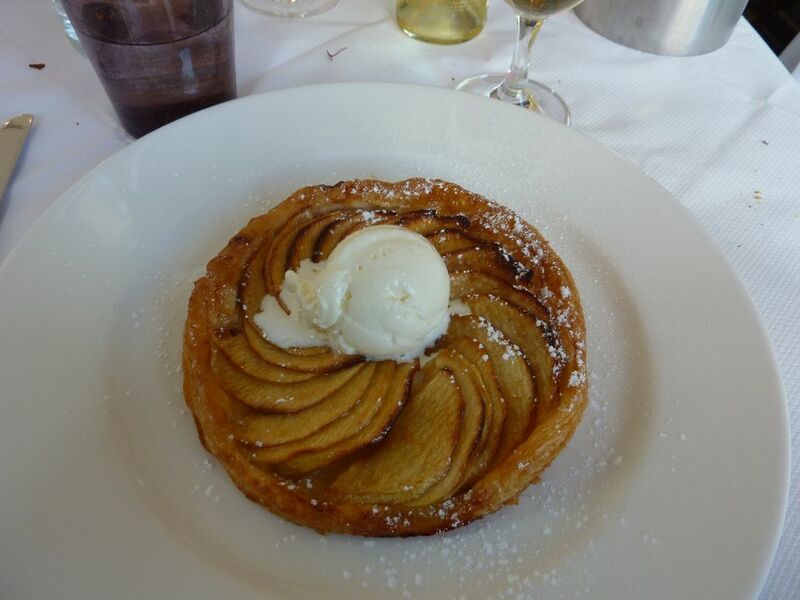 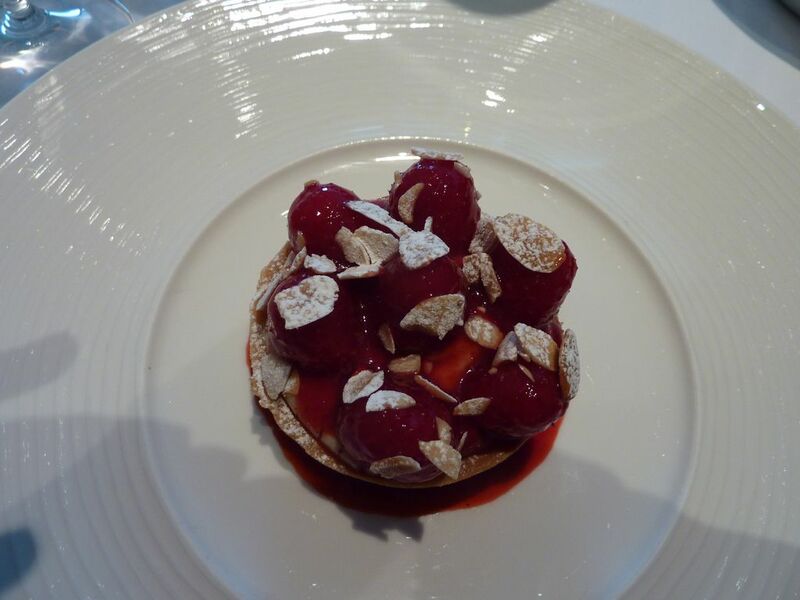 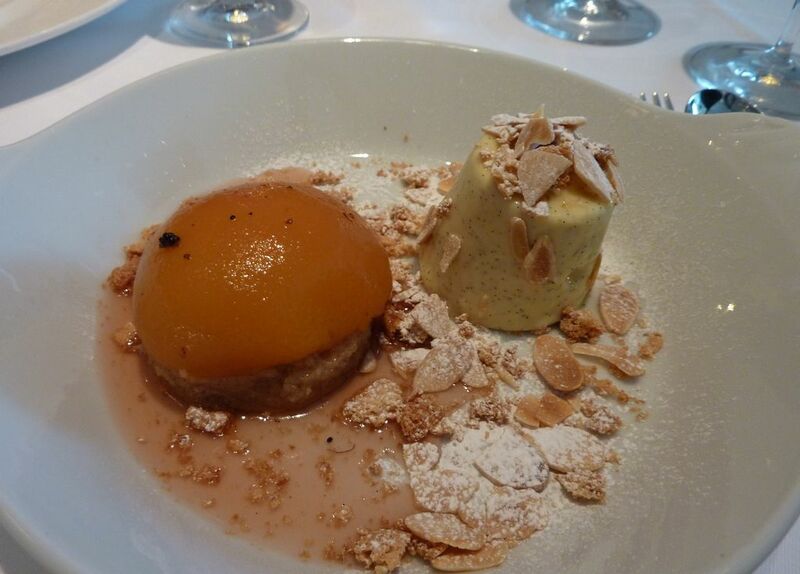 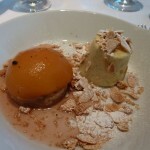 We then finished with the Vanilla, Almond and Raspberry tartlet and the Warm Poached Peach and Financier with Pannacotta and Ameretto, along with a couple of glasses of matching dessert wines. 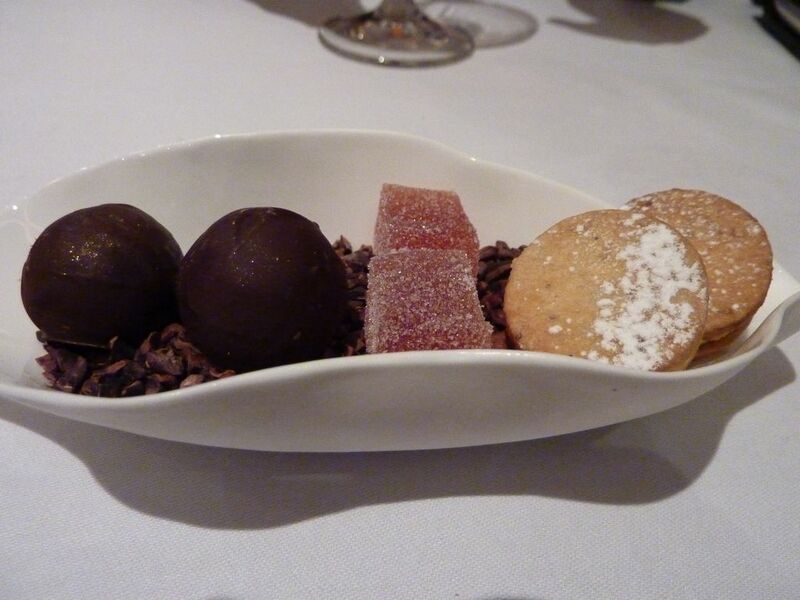 Leaving just enough room for a piece of the home made shortbread provided at the end of the meal. 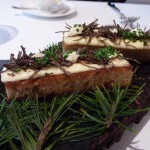 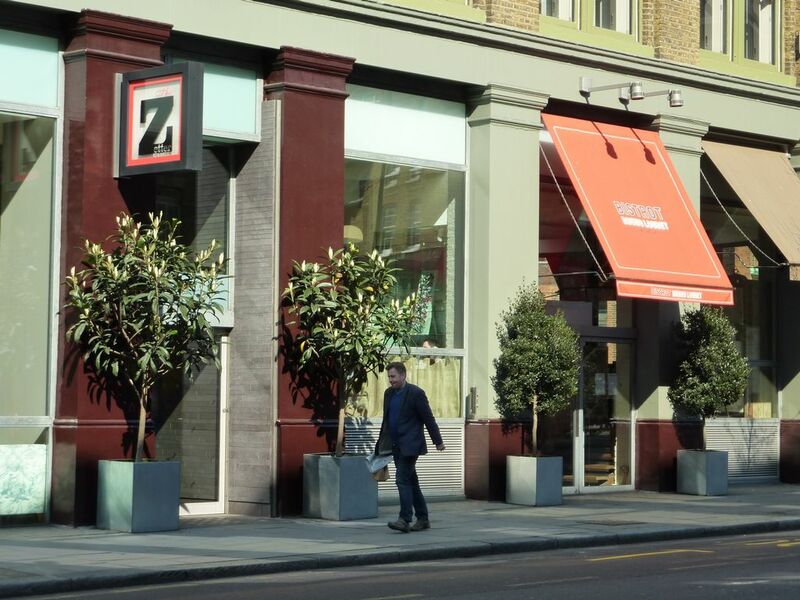 We had a conversation with one of the waiters about Chez Bruces sibling restaurant The Ledbury, which he thought was on the way to its third Michelin Star and if that’s the case, Chez Bruce is well on its way to a second one, as the gap between them is not huge. 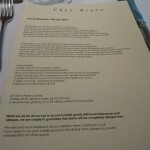 Chez Bruce is not just a destination restaurant, it’s a restaurant that makes you want to move to the area. 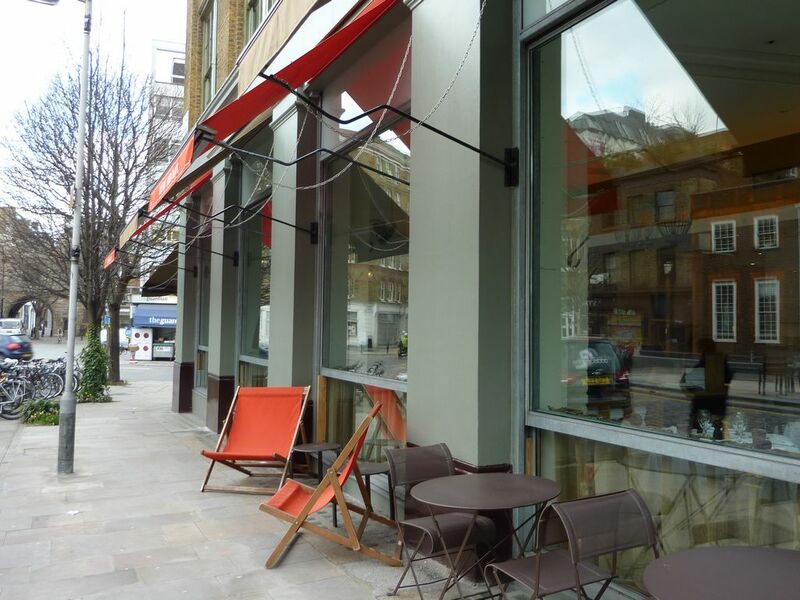 Although in actual fact it’s not that hard to get to, as it’s just 2 minutes walk from Wandsworth Common train station, and there are frequent trains from Victoria with a journey time of 11 minutes. 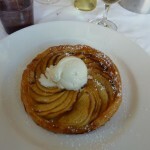 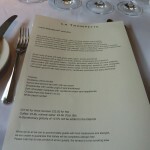 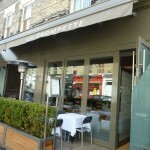 Made a return visit after a gap of a couple of years to La Trompette in Chiswick. 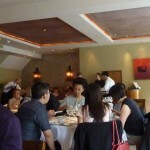 The area was livelier than I remembered, lots more interesting shops and restaurants. 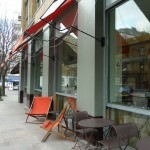 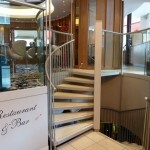 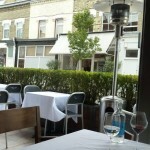 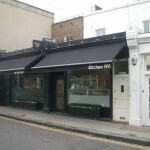 The weather was good so the full length windows were open to effectively extend the restaurant into the outside space. 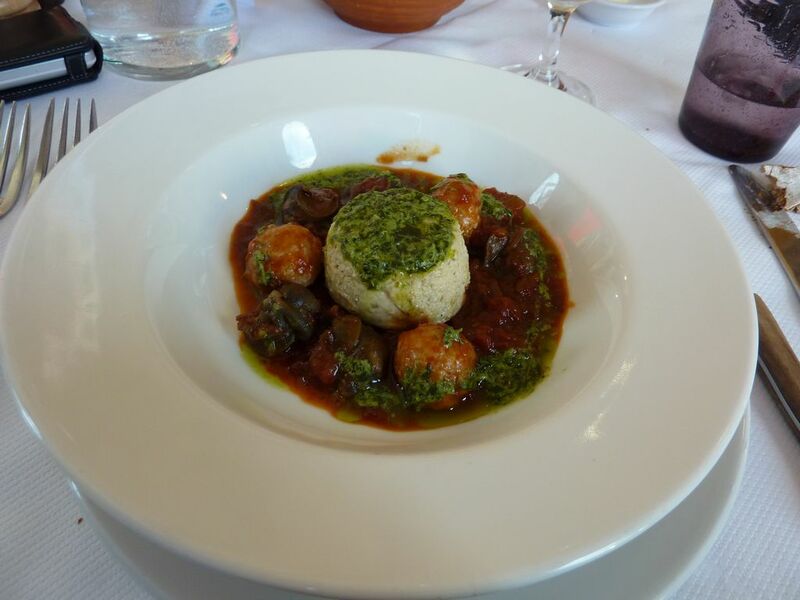 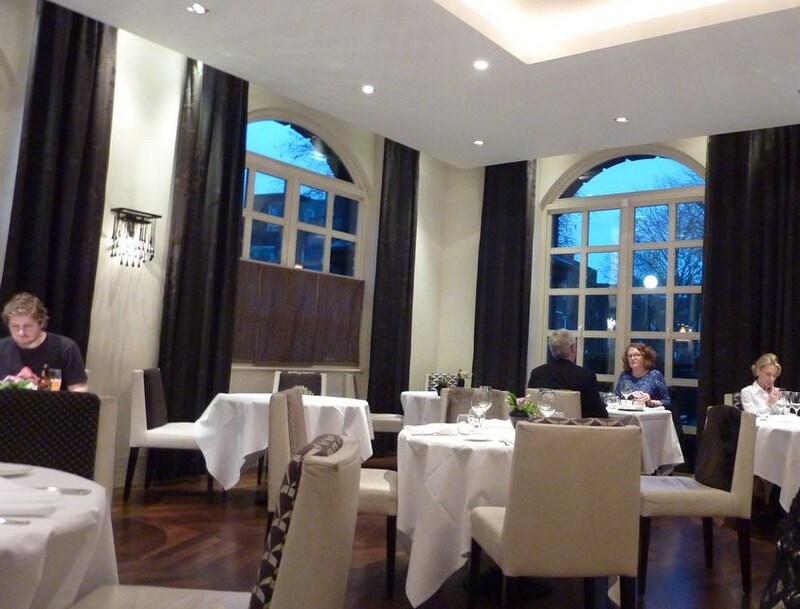 We had a very relaxing meal, with good food and friendly service in very pleasant surroundings. 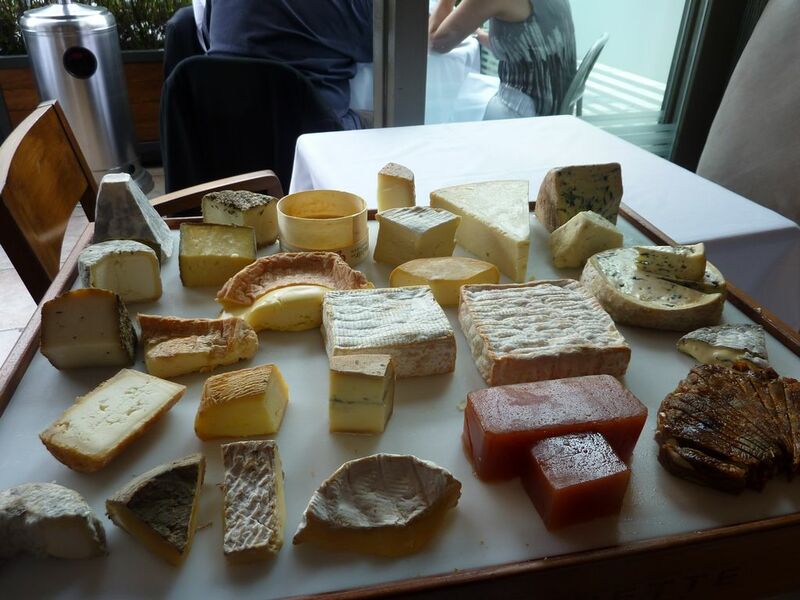 This is very much the sort of place where you can enjoy indulging in the wine list and taking your time over the cheese board. 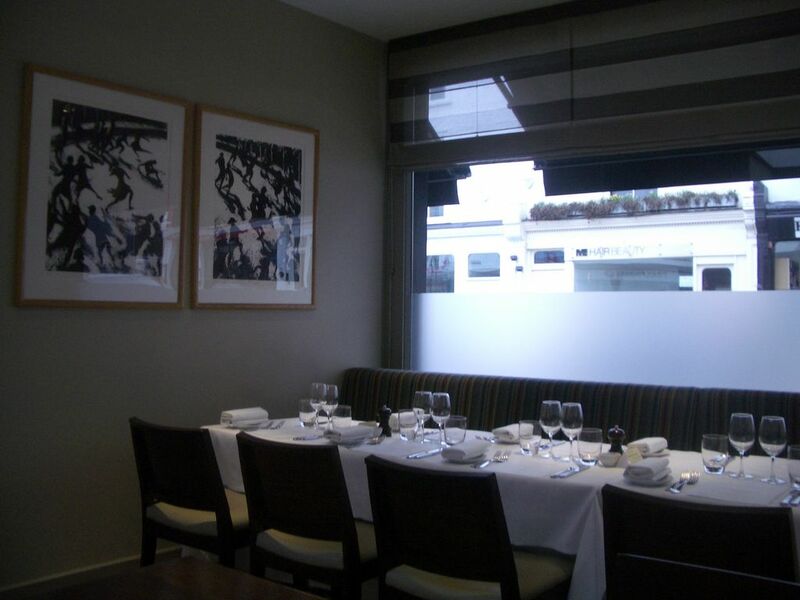 Out of all the Nigel Platts-Martins restaurants we have been too, this one is actually our least favorite, not that there is anything wrong with it. 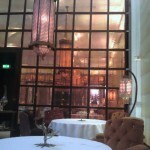 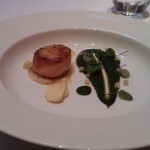 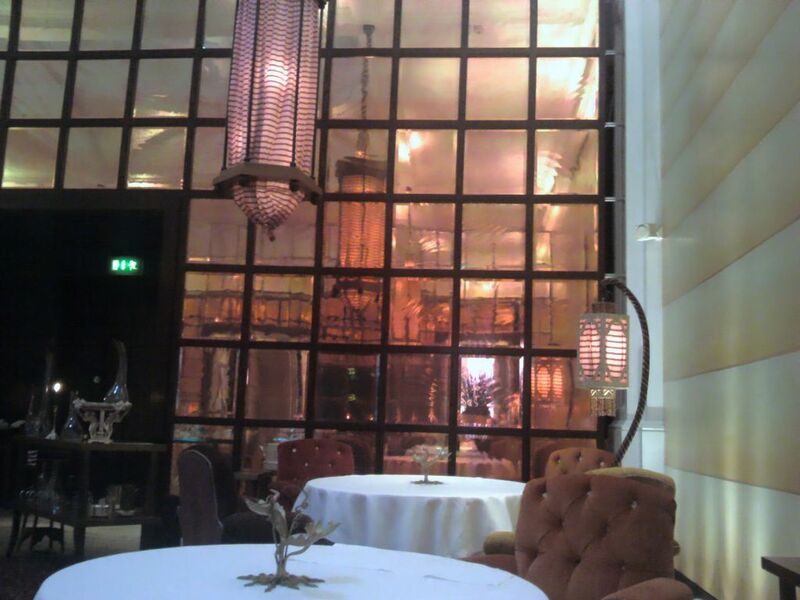 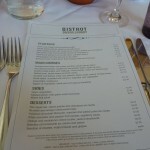 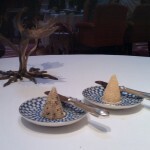 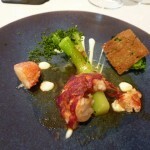 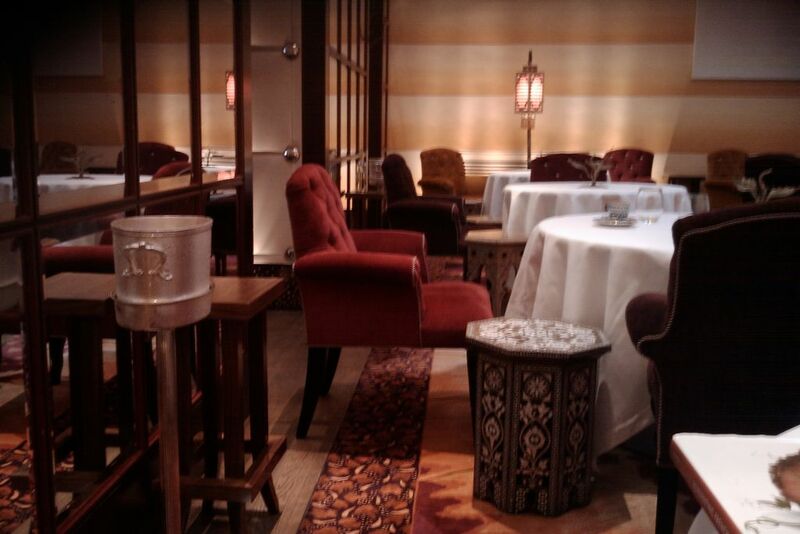 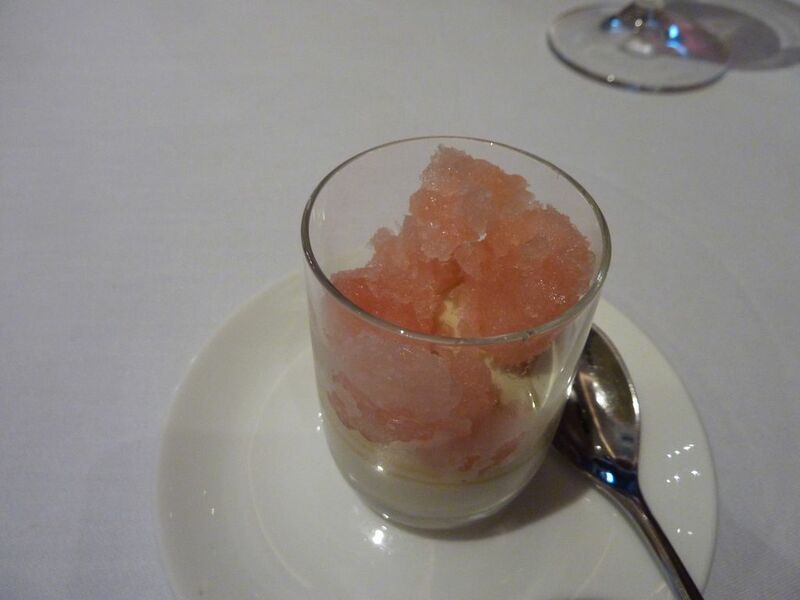 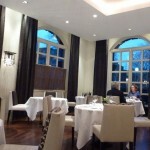 It is still a very good restaurant, it’s just that The Glasshouse, Chez Bruce and The Ledbury are better. 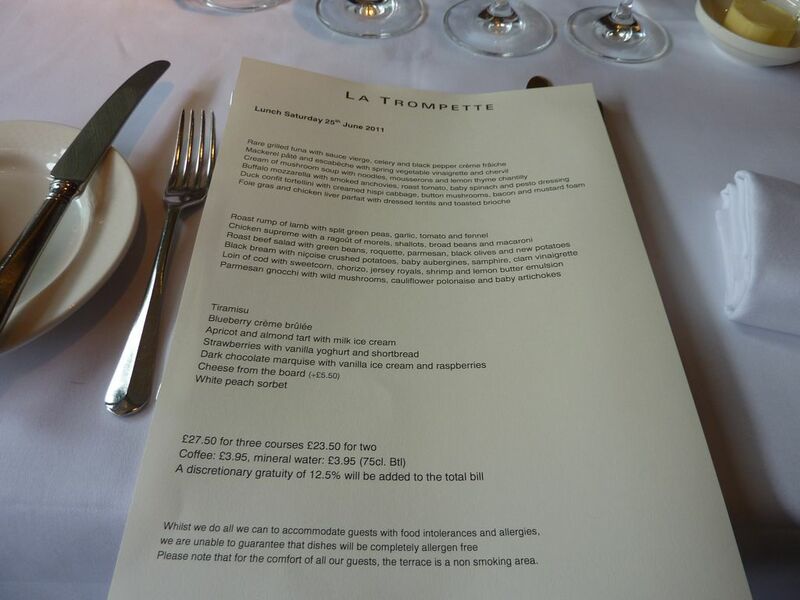 So if you are in the area this would be a real treat, but I still prefer to make the trip out to Wandsworth for Chez Bruce or Notting Hill for The Ledbury. 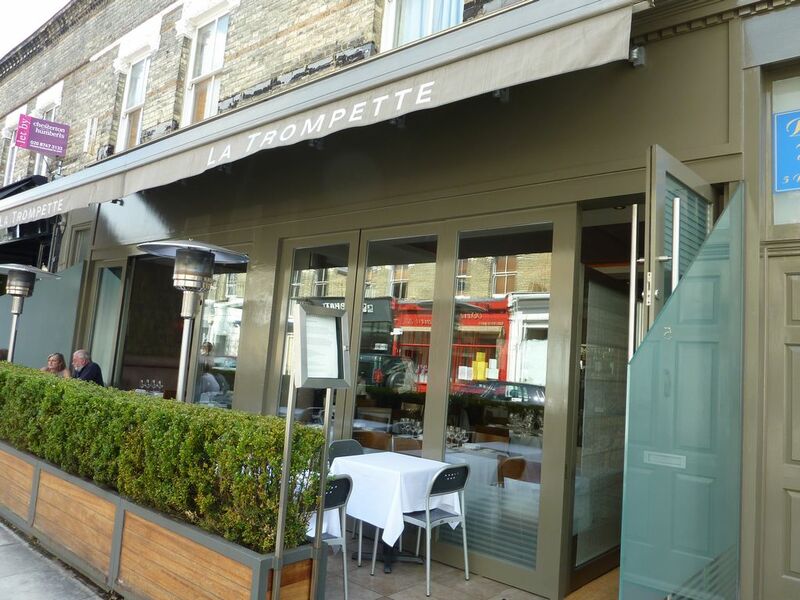 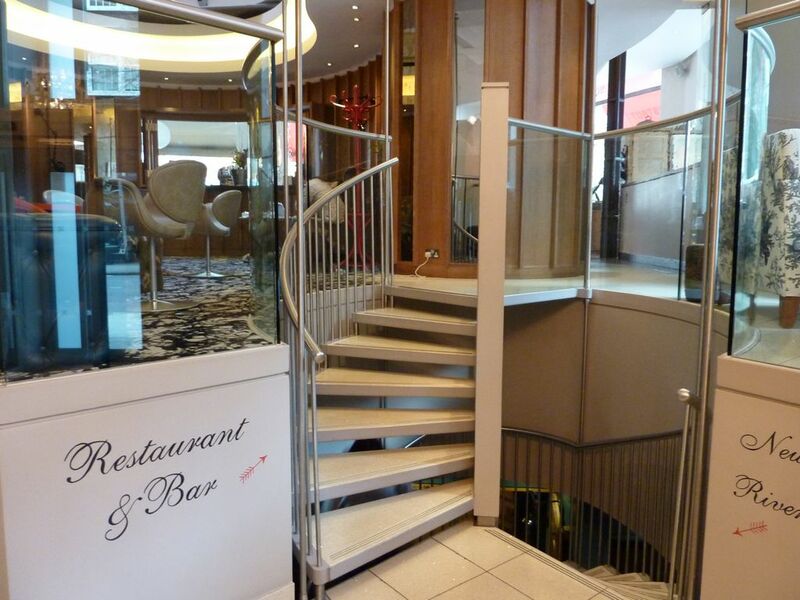 UPDATE: April 2013 – La Trompette has been refurbished since our last visit, it now has a more spacious dining room, private dining facilities and a new kitchen. 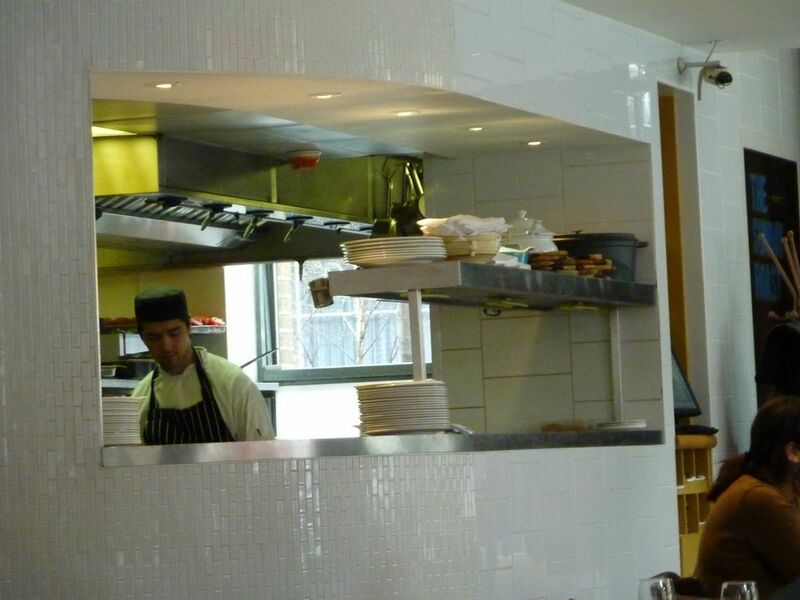 There is also a new Head Chef – Rob Weston. 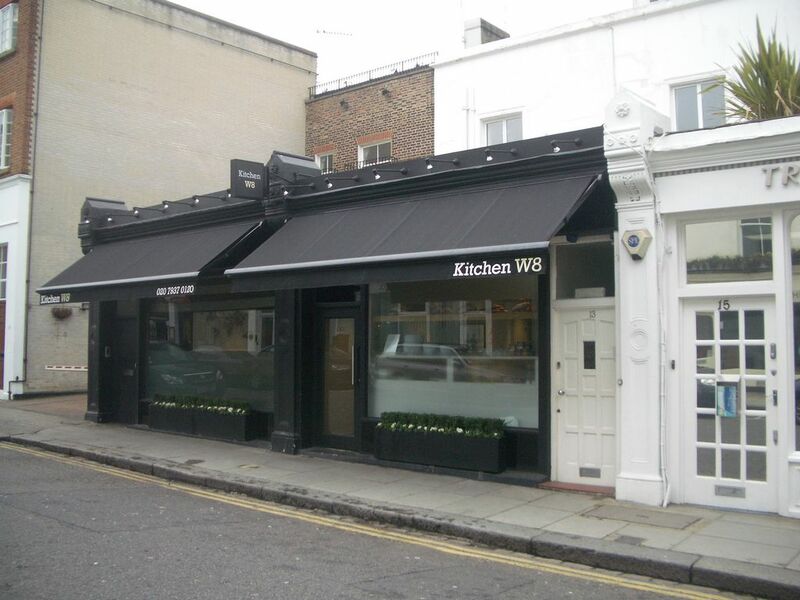 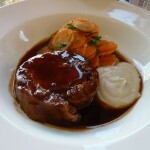 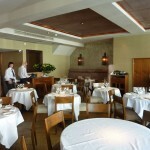 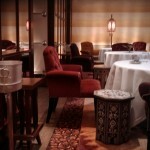 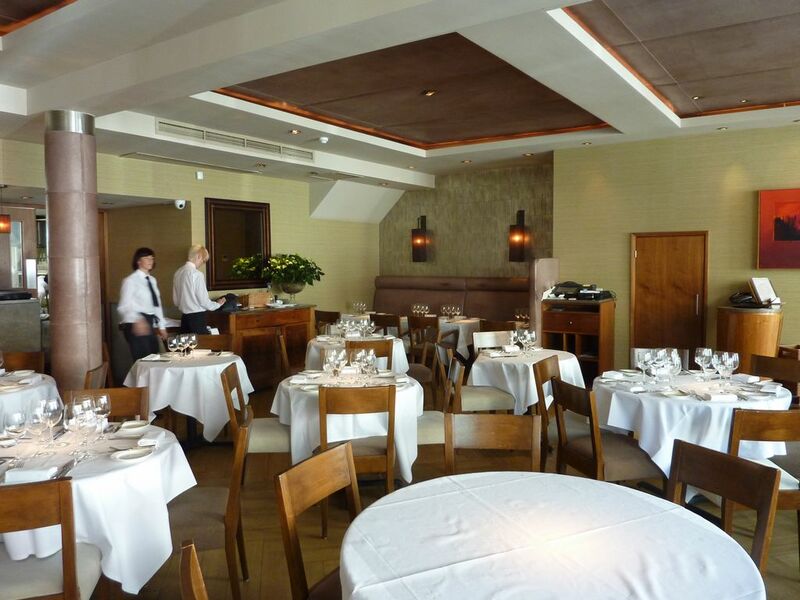 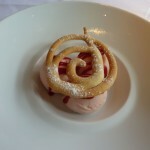 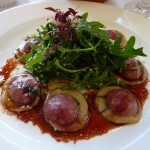 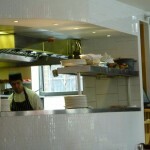 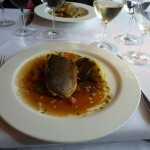 Kitchen W8 is Phillip Howards restaurant in Kensington, it was recently awarded a Michelin star. 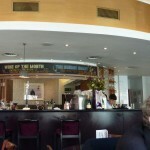 Phillip Howard is Nigel Platts-Martins partner at The Square, so my expectations were high. 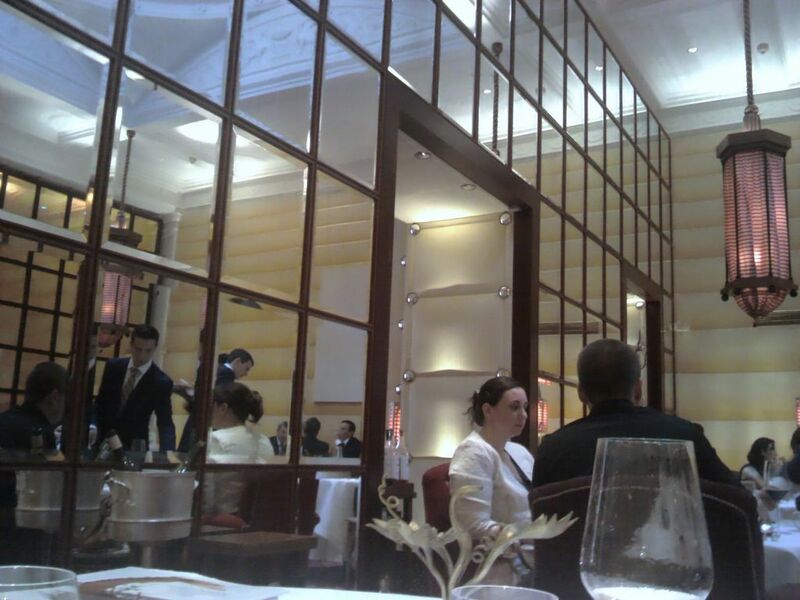 I have to admit it did not have the WOW factor of The Ledbury or The Square or even Chez Bruce, but it was a very pleasant way to spend a Sunday lunch time. 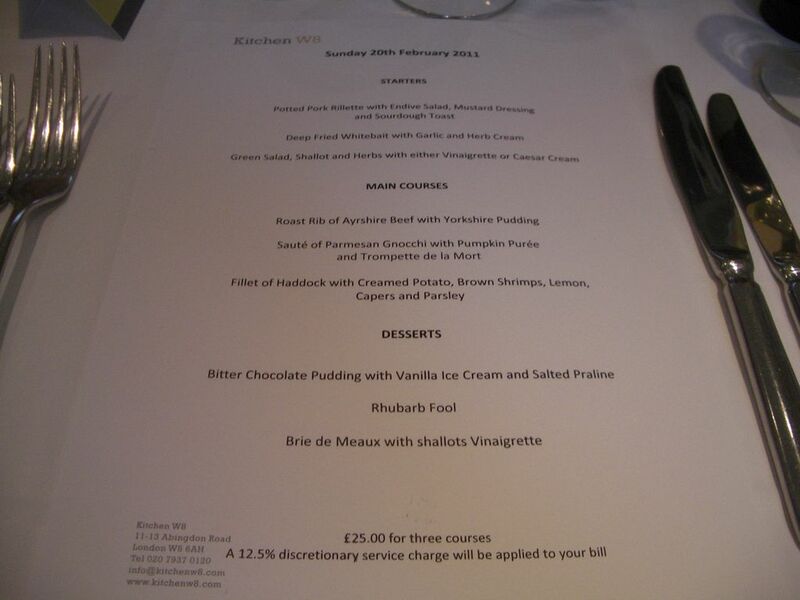 The set Sunday lunch at £25 a head is not particularly adventurous, but what they do, they do well. 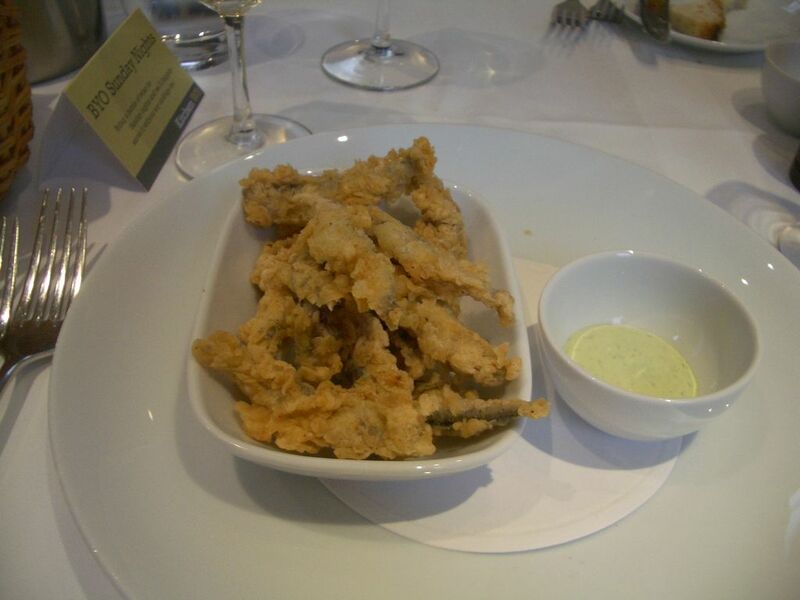 My Whitebait starter had maybe a bit too much batter for some tastes, but was fresh, tasty and not in the least bit greasy. 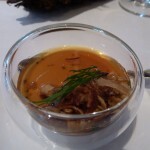 The potted pork rillette was a bit ordinary but fine for a set lunch. 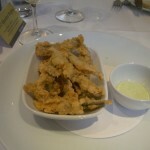 The mains were well received. 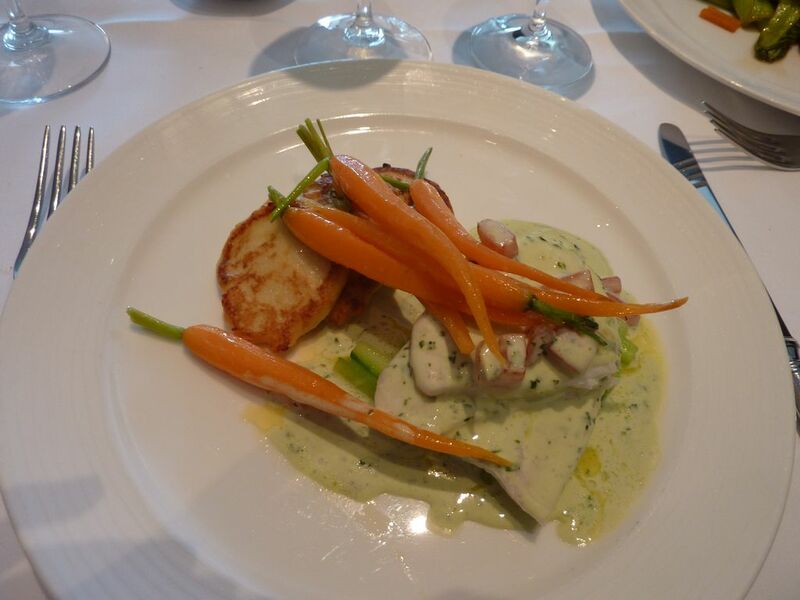 The mash served with my well cooked haddock was particularly good. 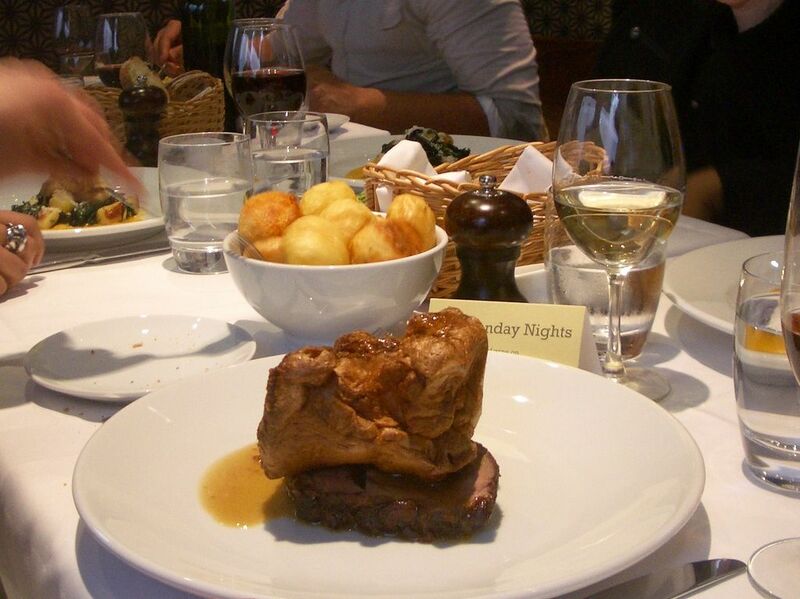 All in all, it was a perfectly pleasant way to spend a Sunday lunch time. 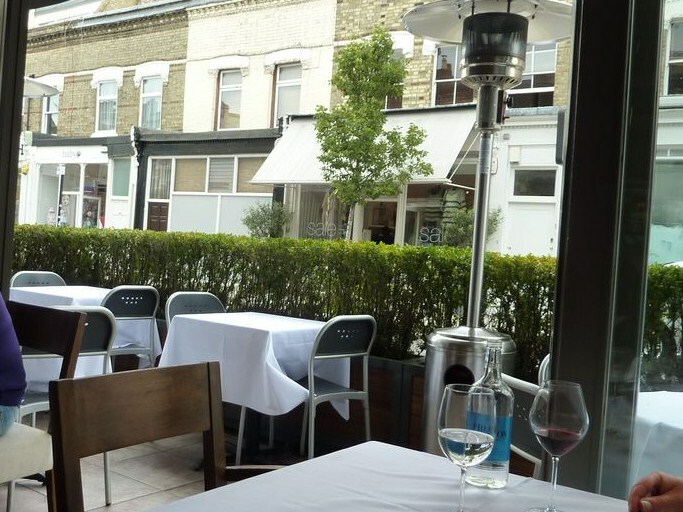 They were also pushing an excellent BYOB deal (no corkage fee on a Sunday evening), something that I do hope more and more fine dining restaurants take up, see Guardian article covering this trend.